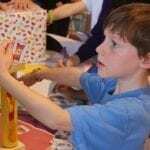 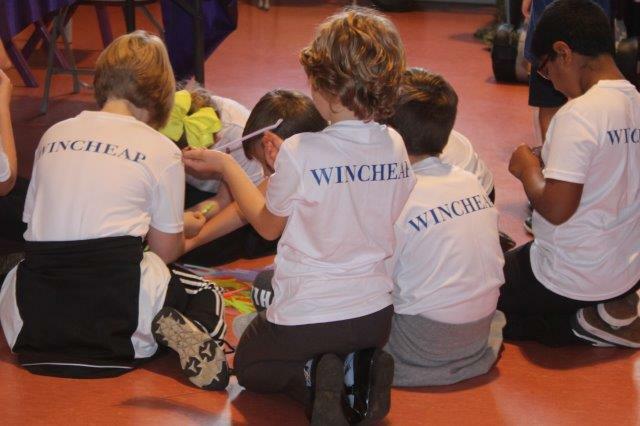 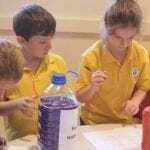 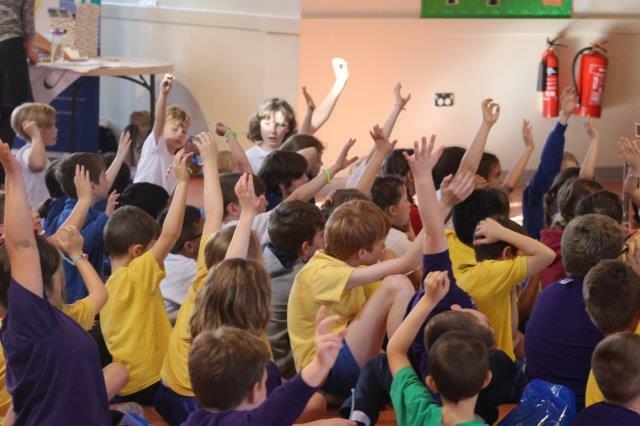 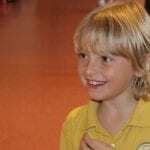 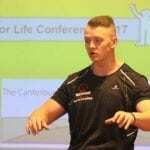 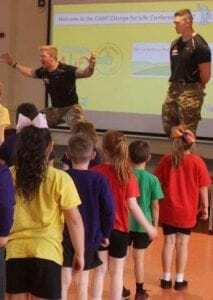 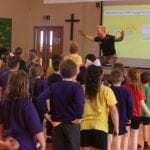 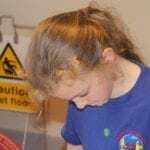 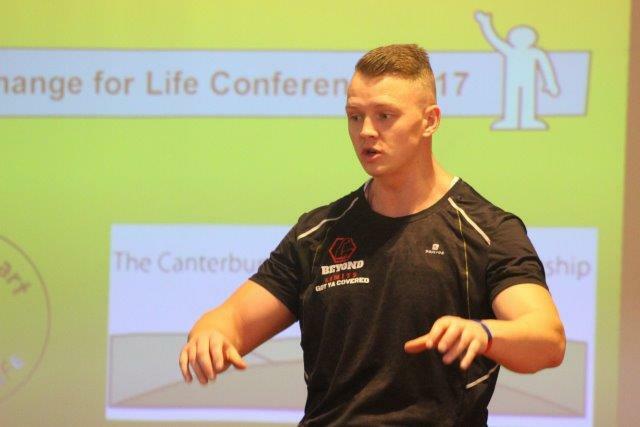 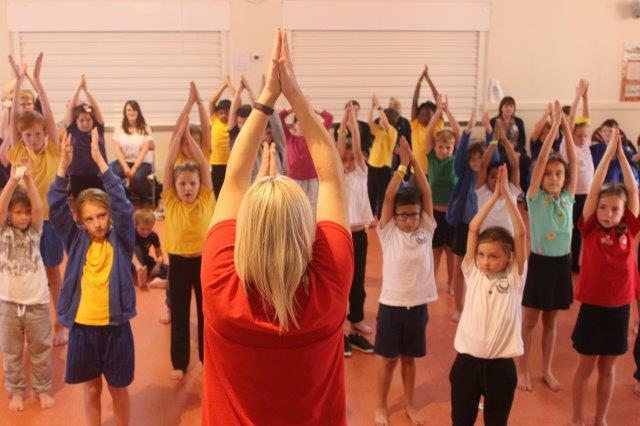 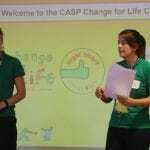 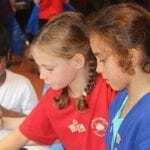 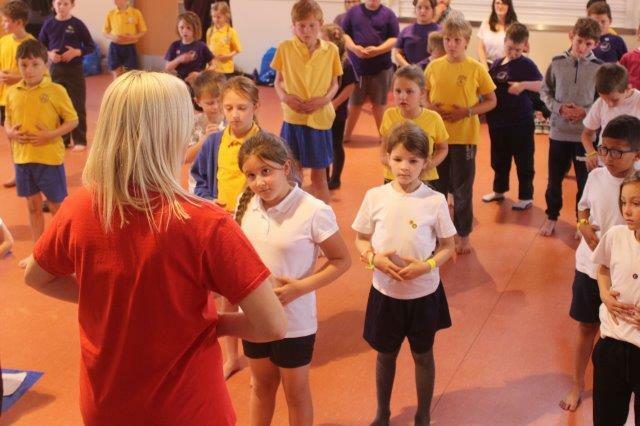 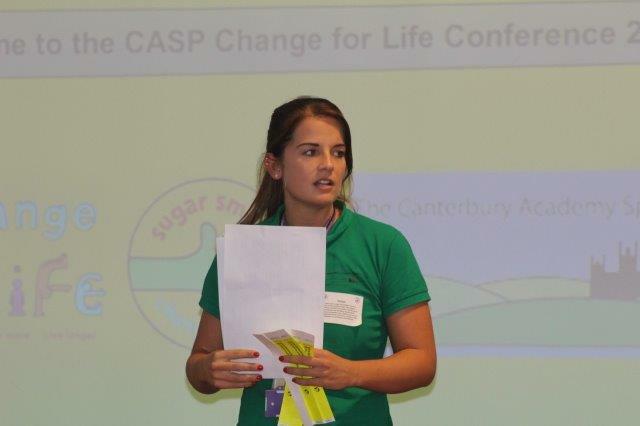 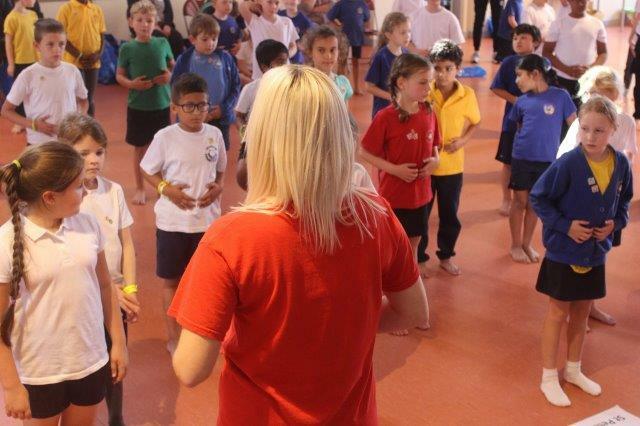 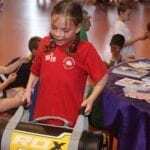 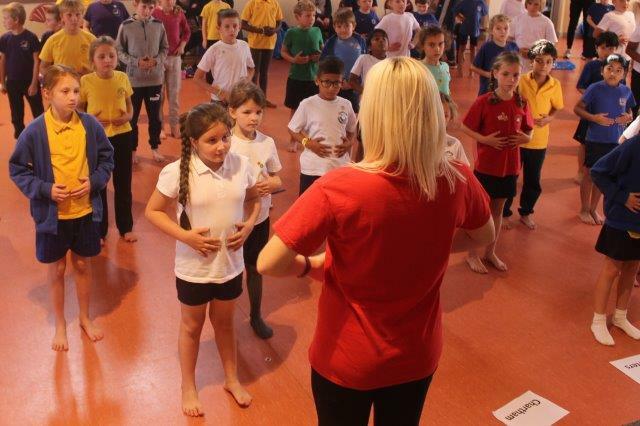 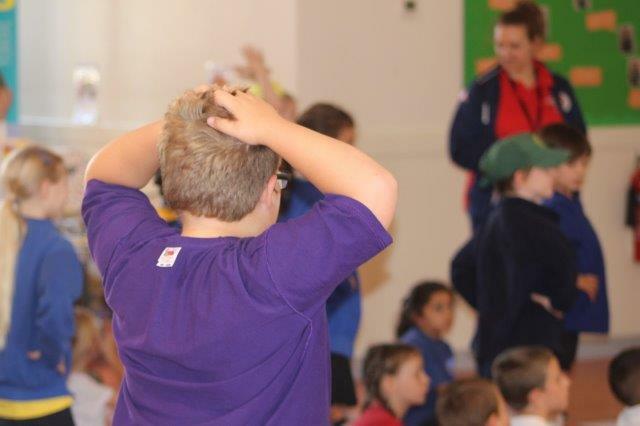 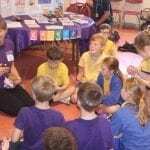 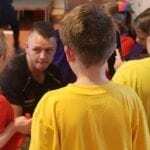 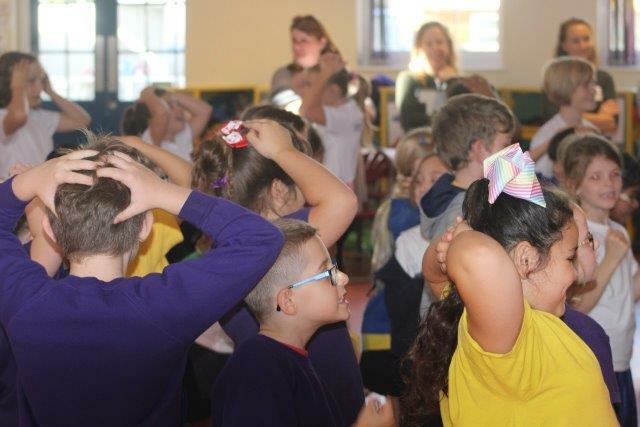 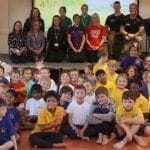 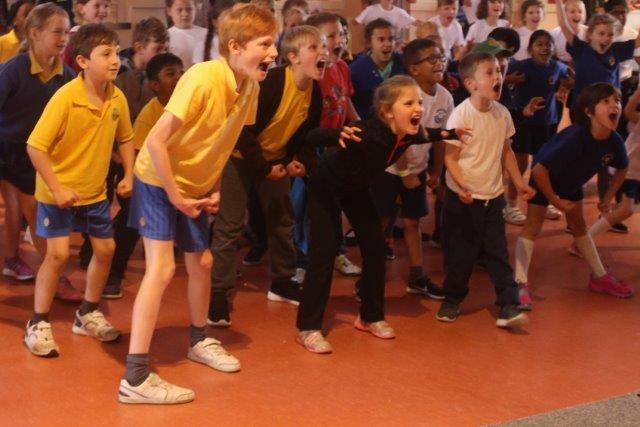 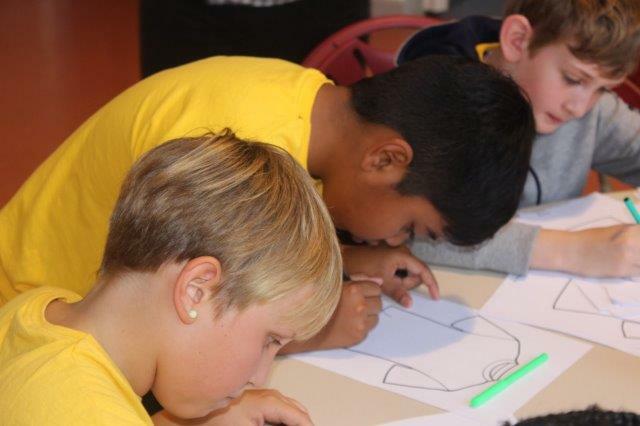 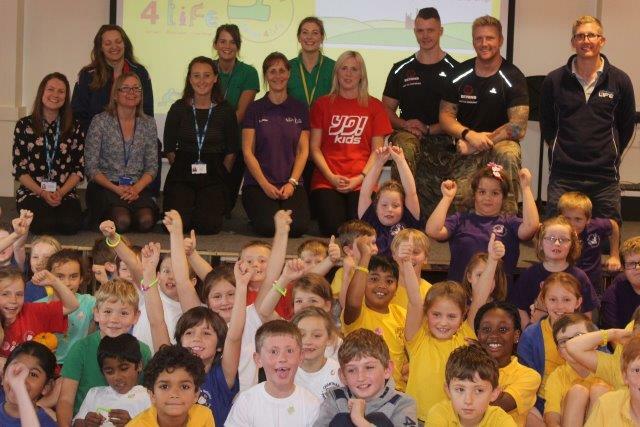 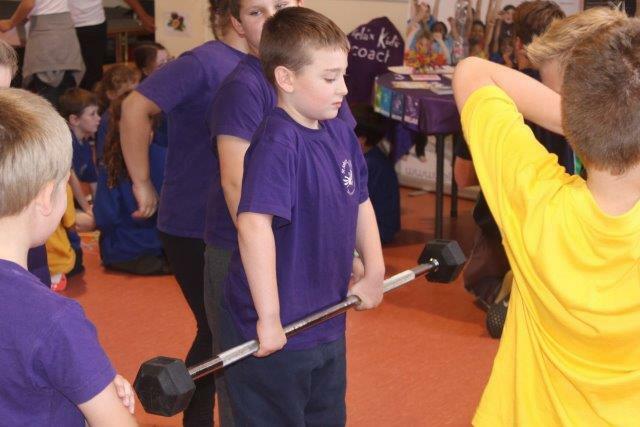 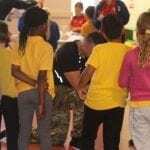 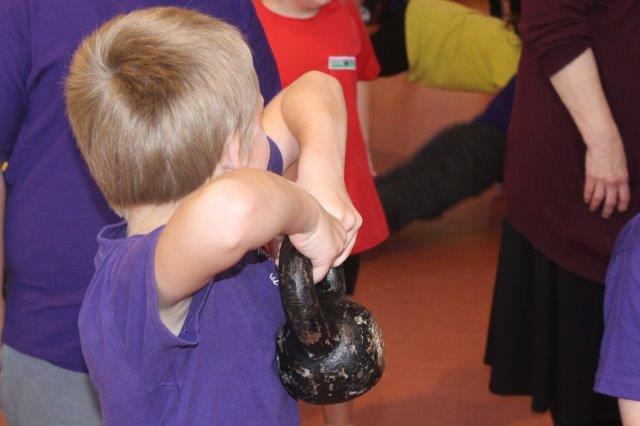 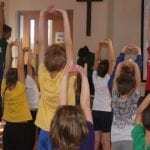 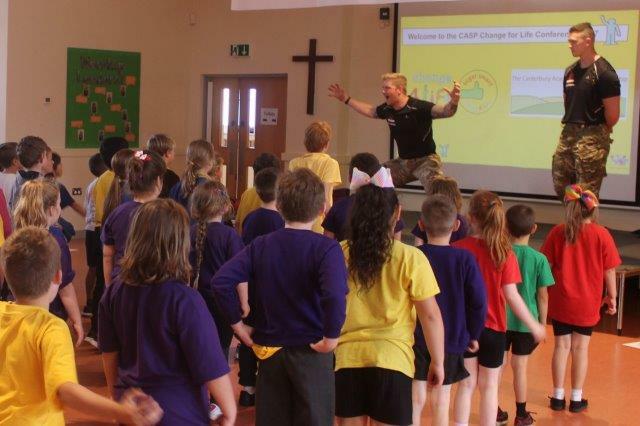 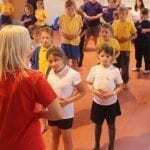 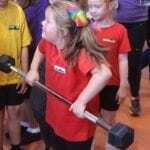 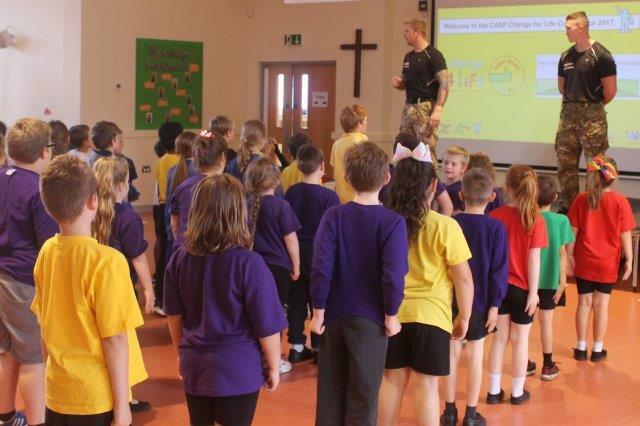 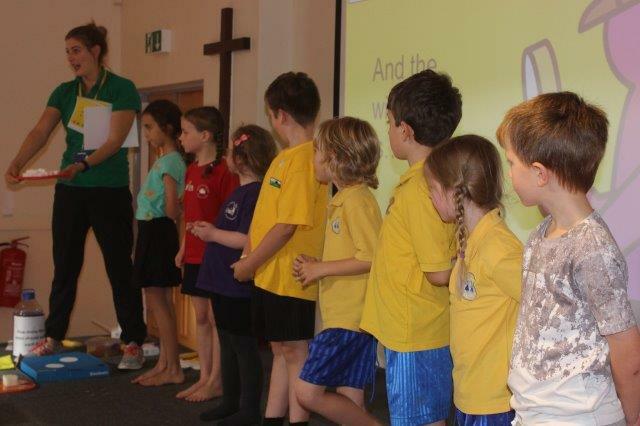 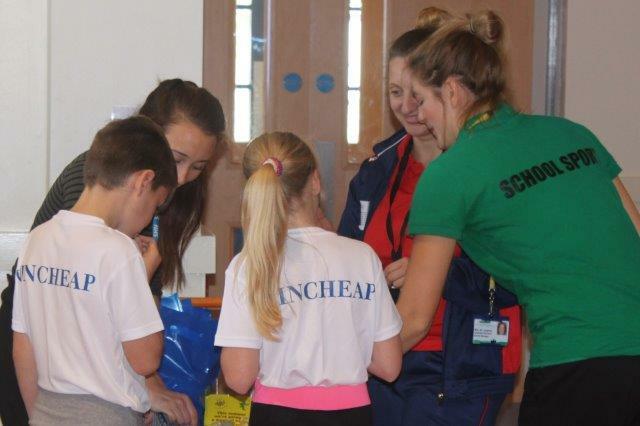 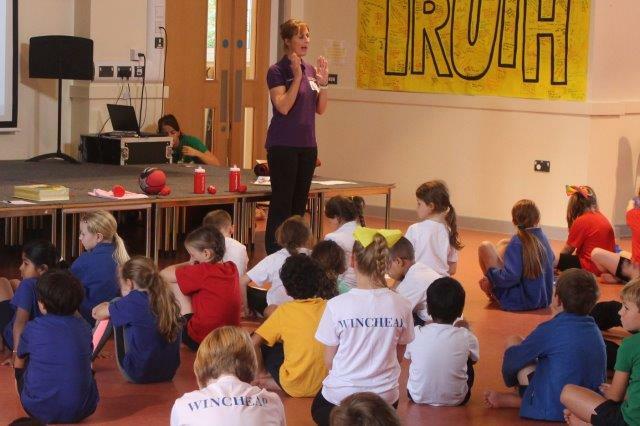 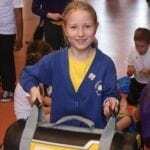 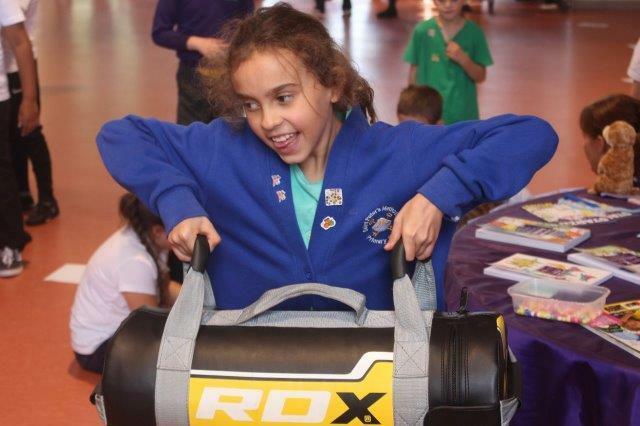 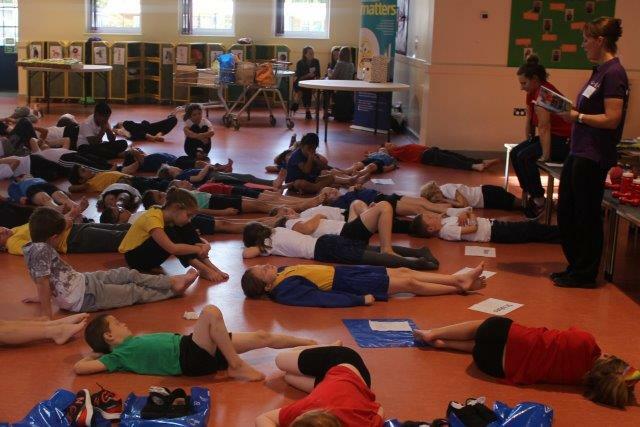 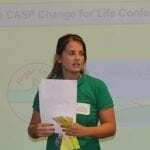 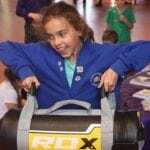 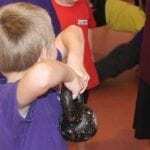 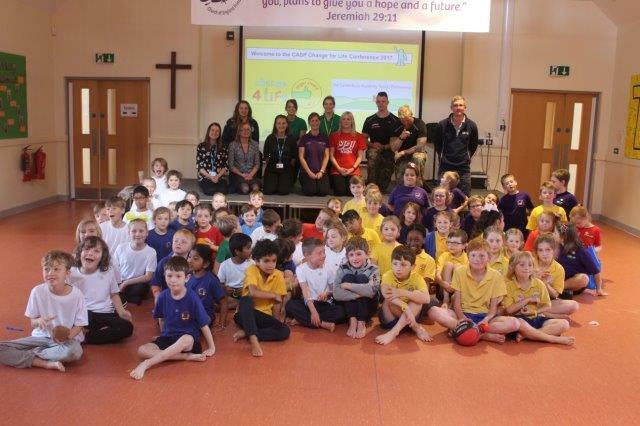 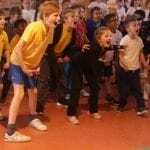 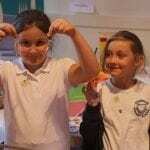 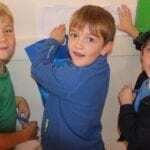 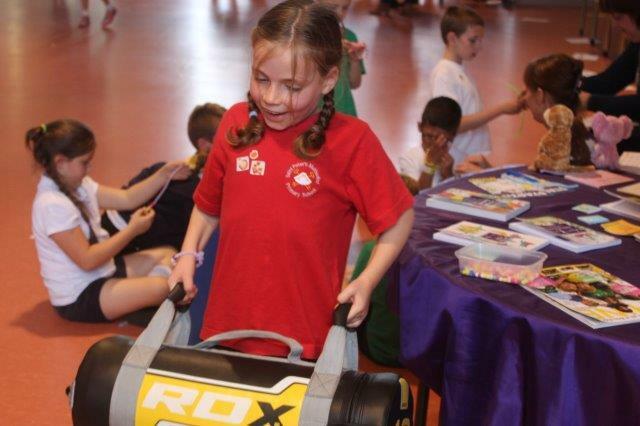 Youngsters from eight local schools descended upon St John’s Primary School, Canterbury for the area’s first Change 4 Life Healthy Schools Conference. 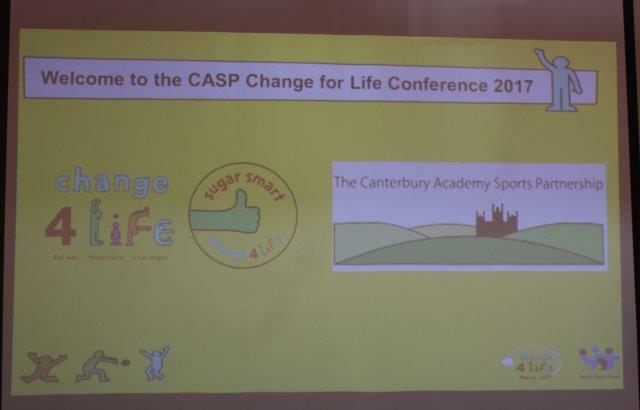 The event, run by Marika, Gemma and Cristina from the Canterbury Academy Sports Partnership, ran throughout the afternoon and featured a range of guest activity leaders. 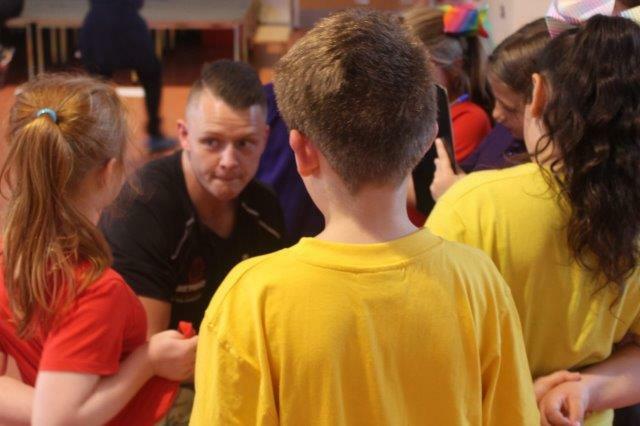 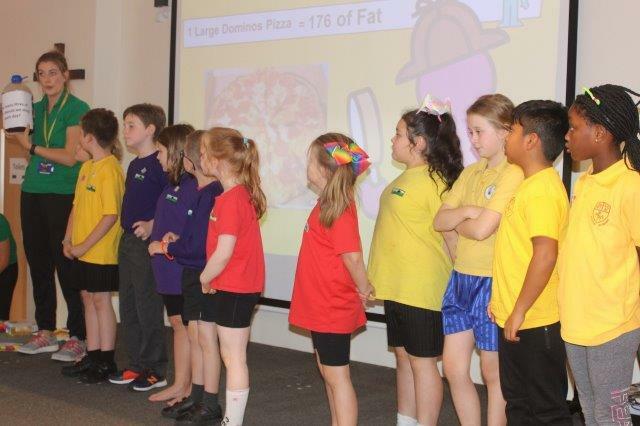 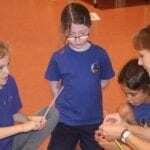 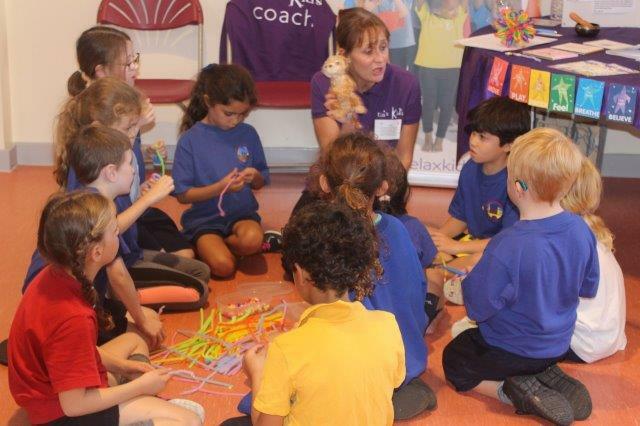 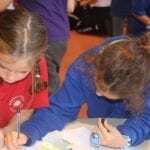 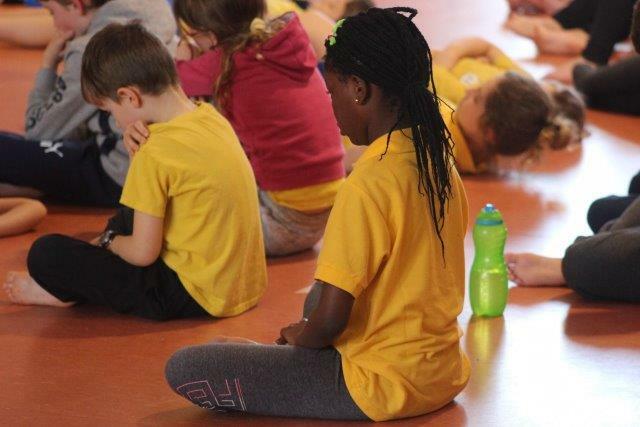 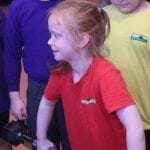 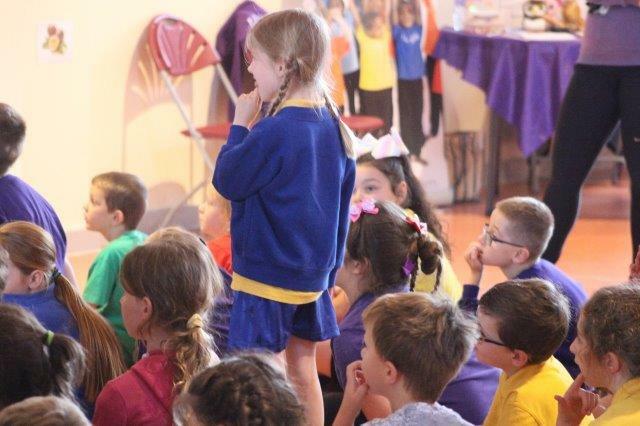 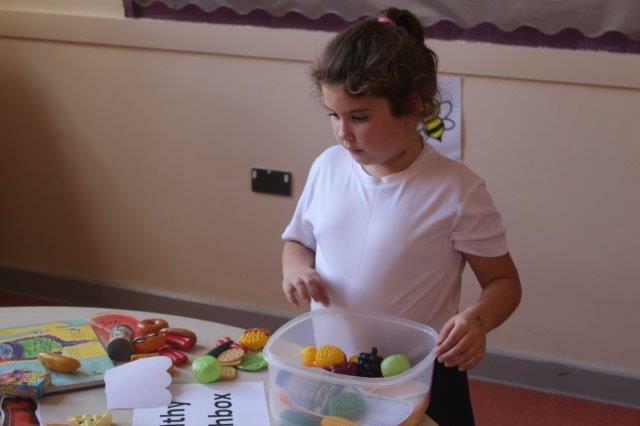 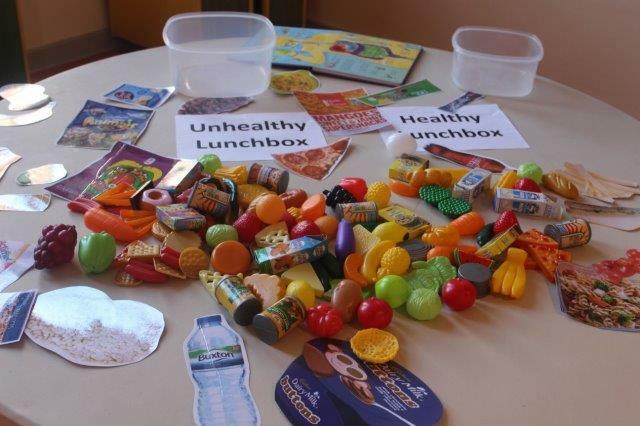 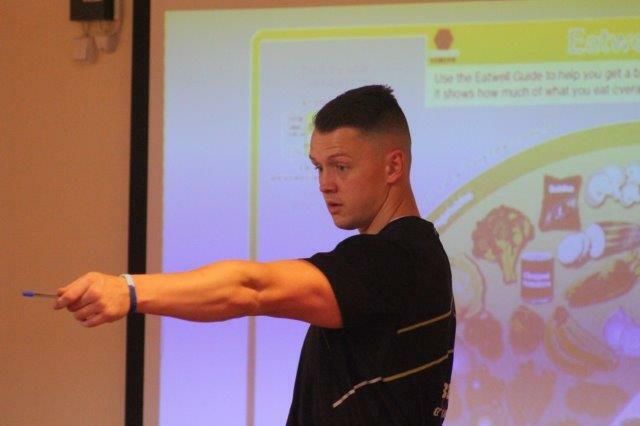 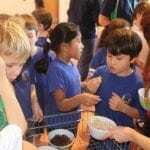 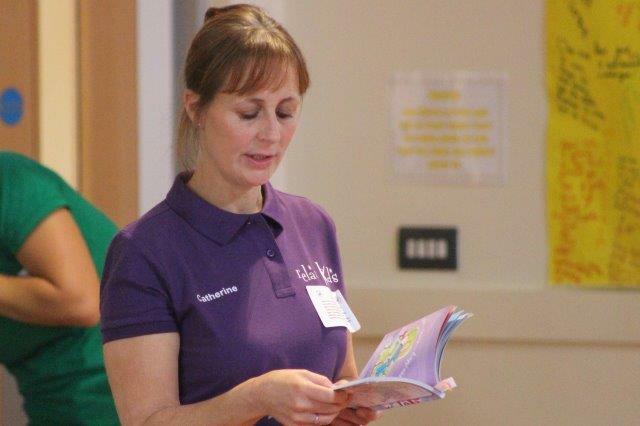 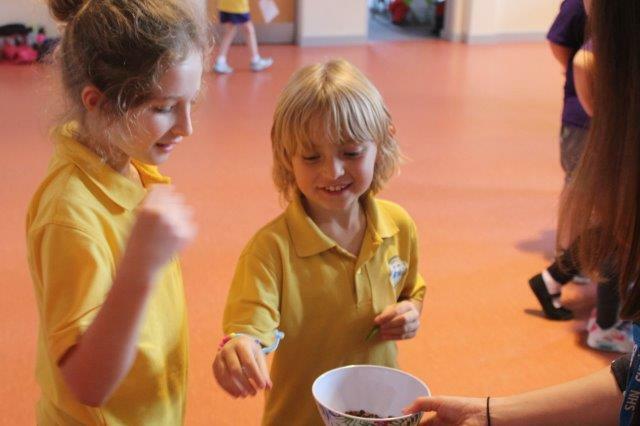 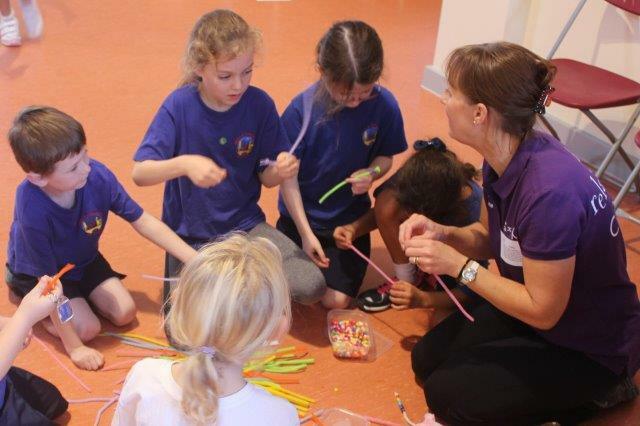 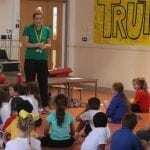 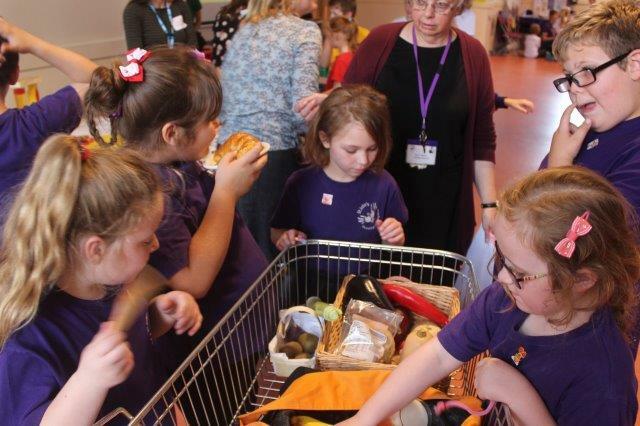 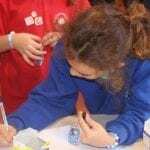 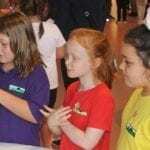 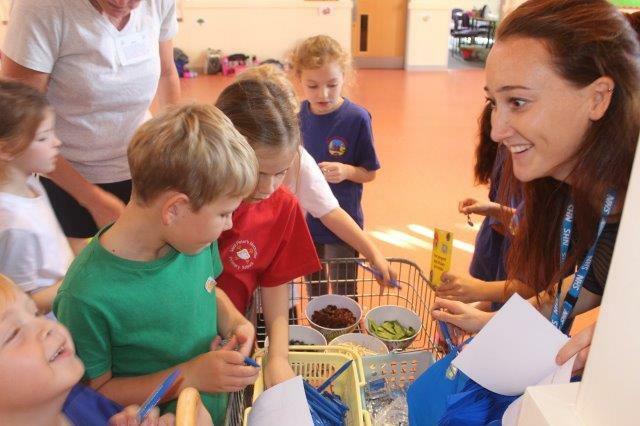 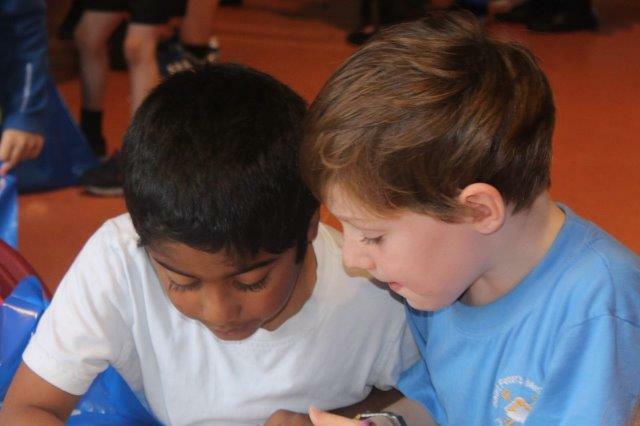 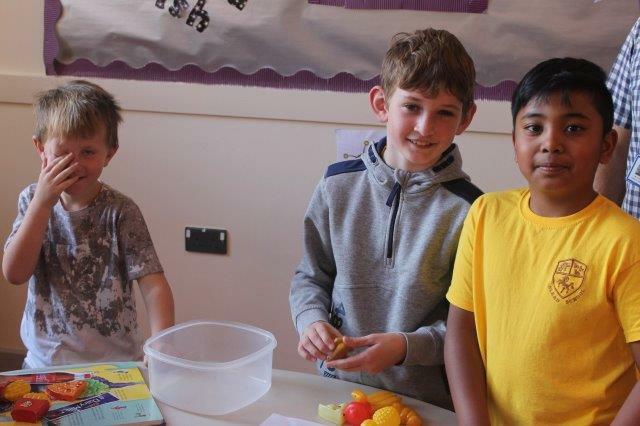 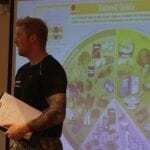 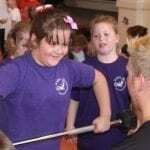 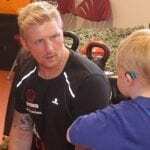 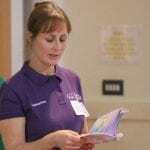 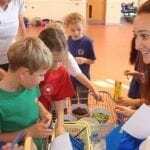 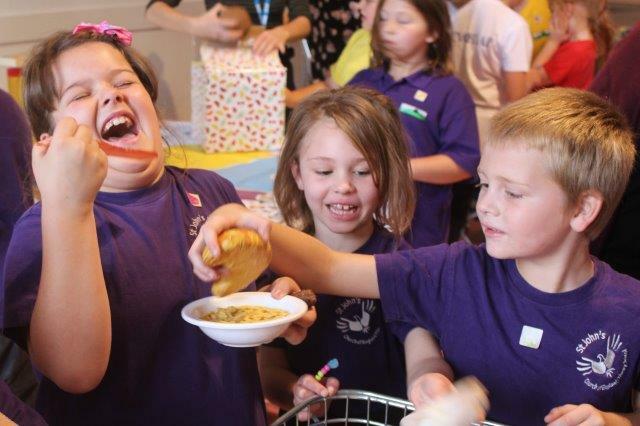 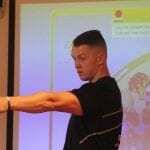 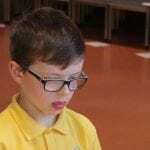 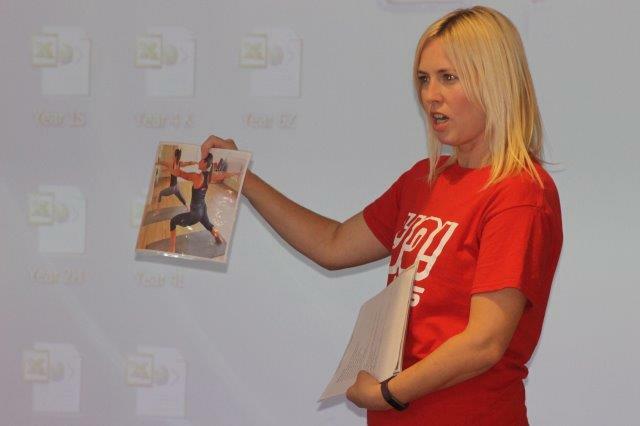 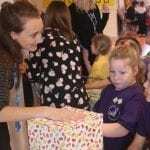 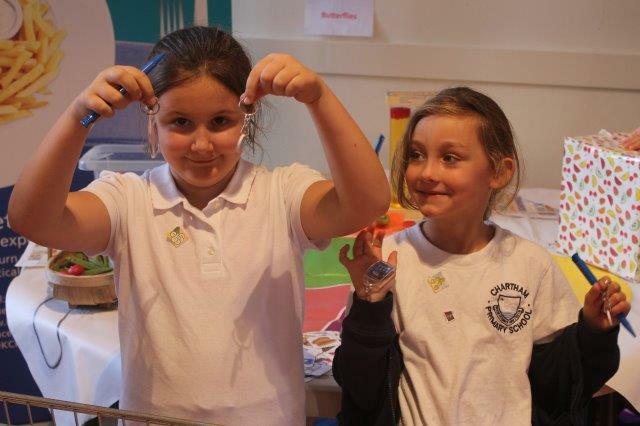 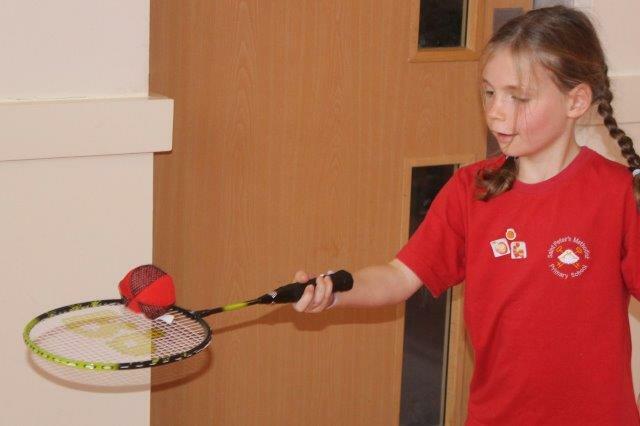 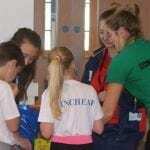 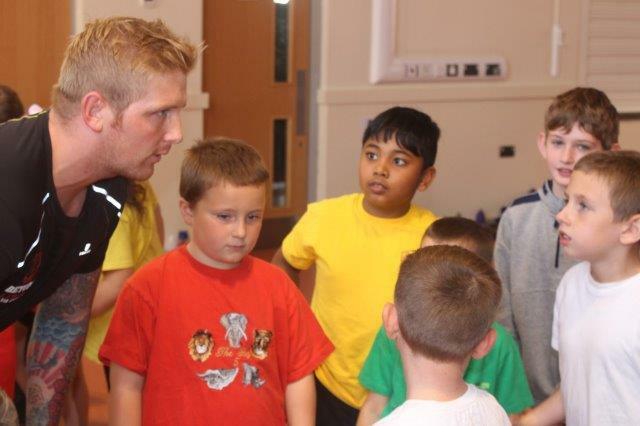 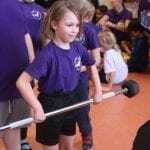 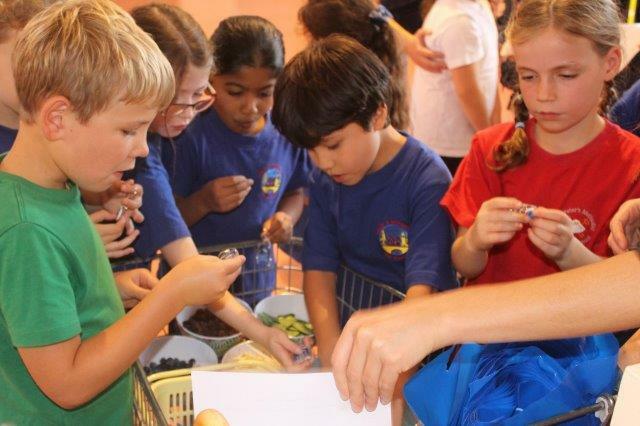 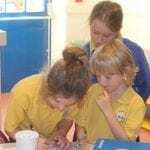 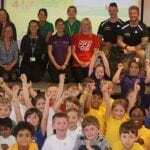 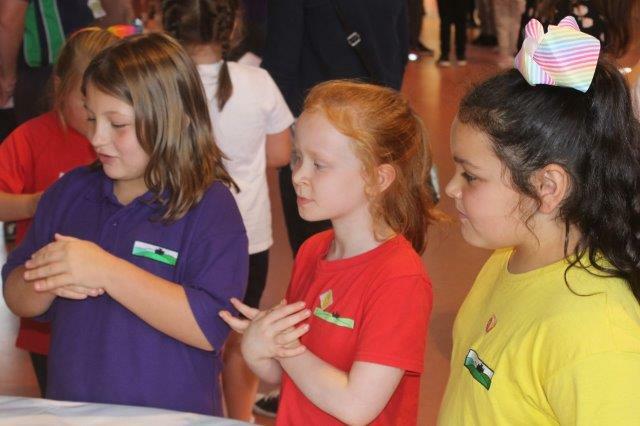 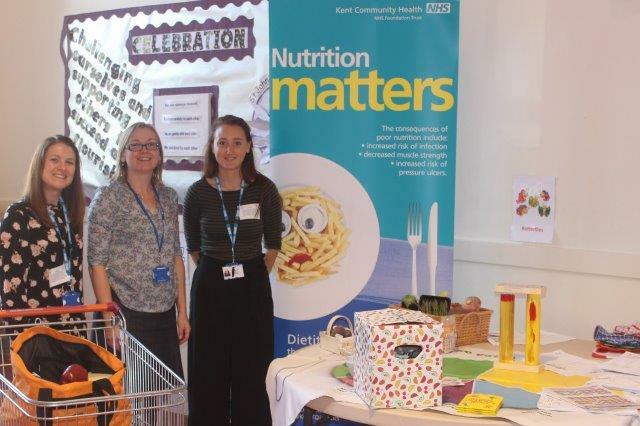 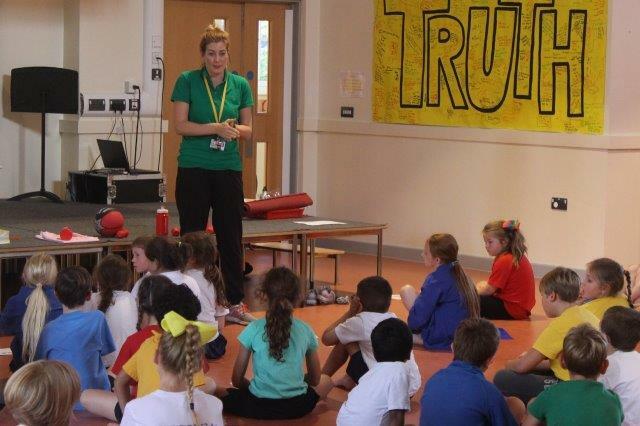 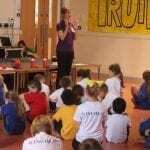 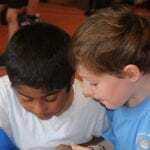 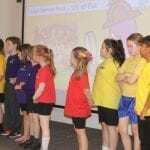 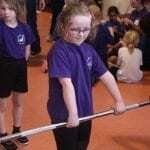 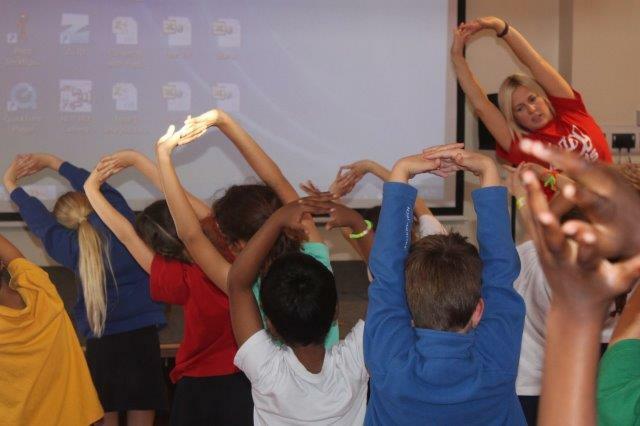 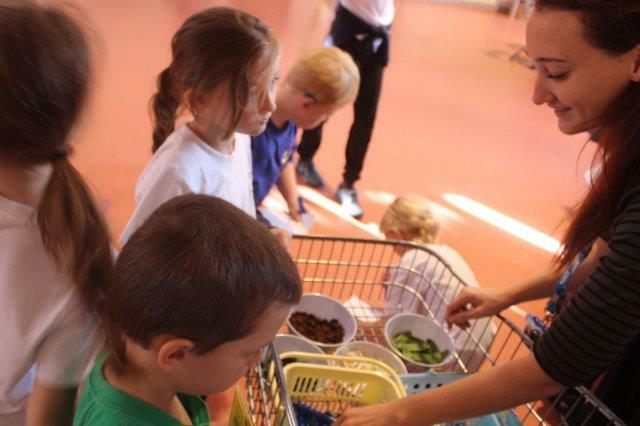 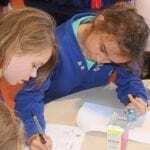 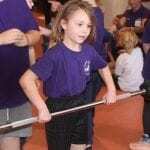 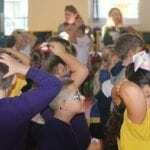 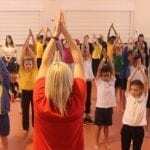 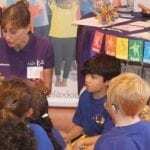 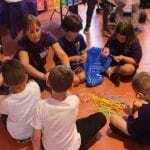 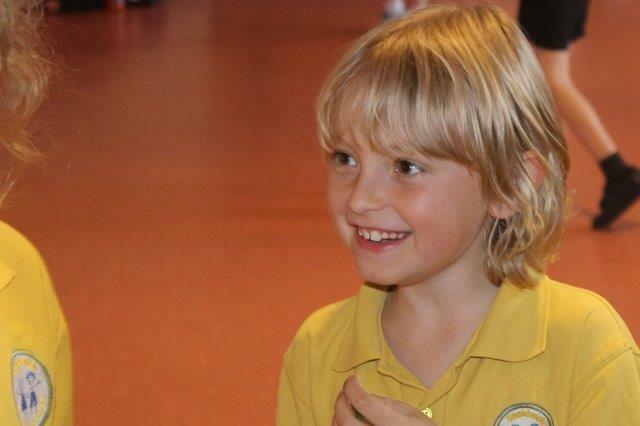 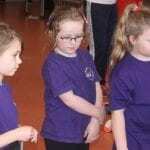 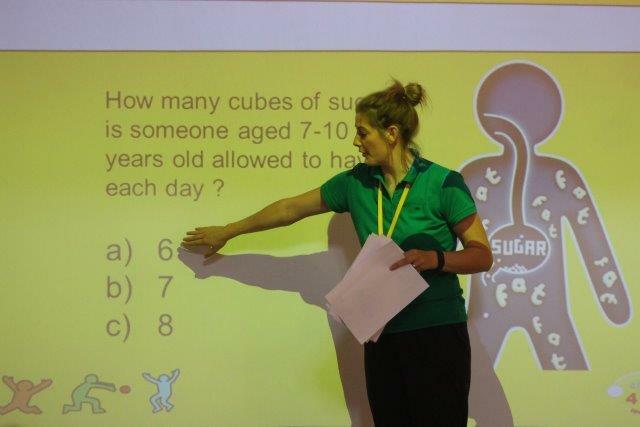 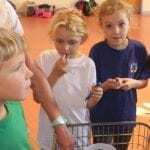 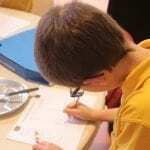 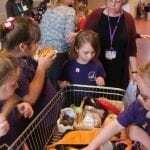 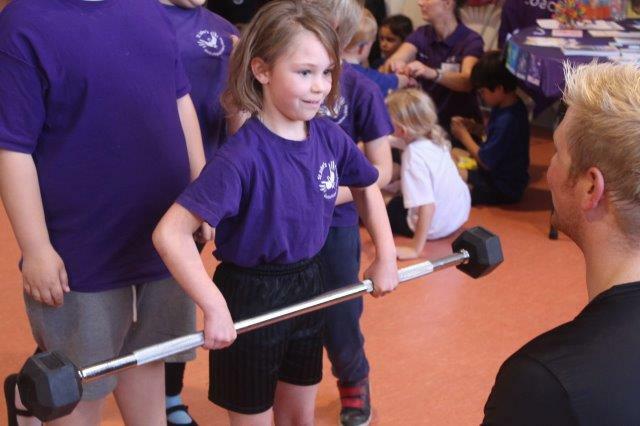 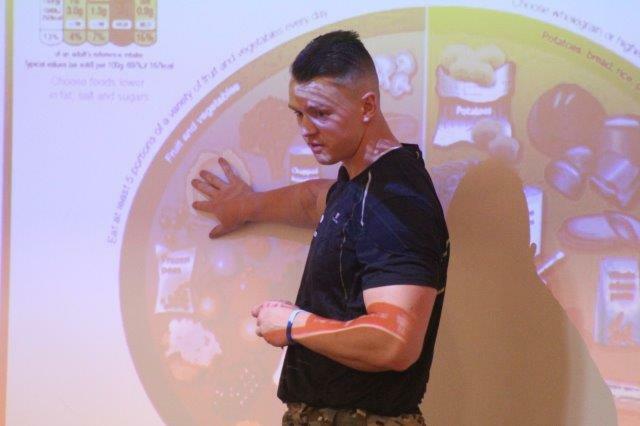 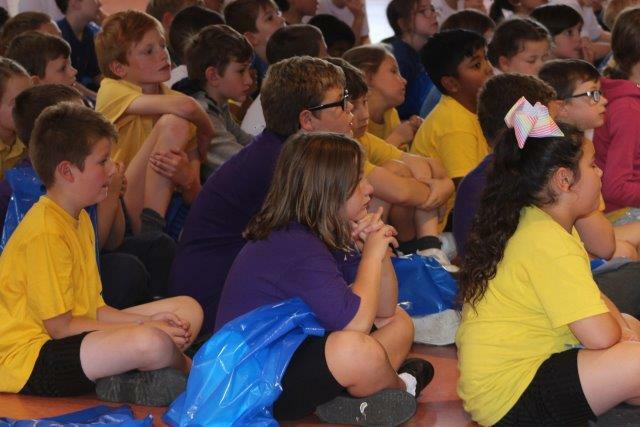 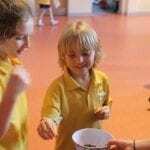 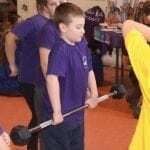 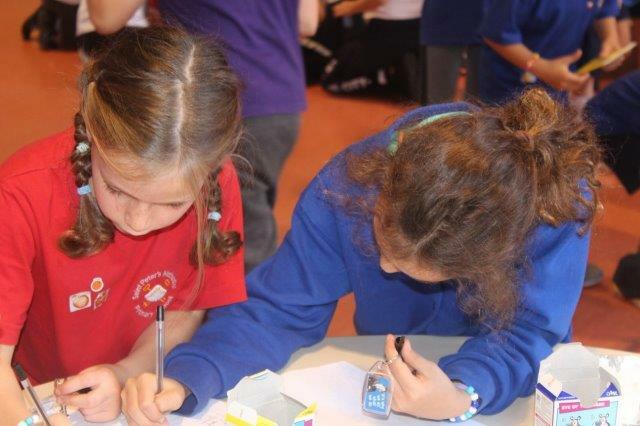 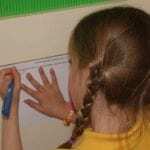 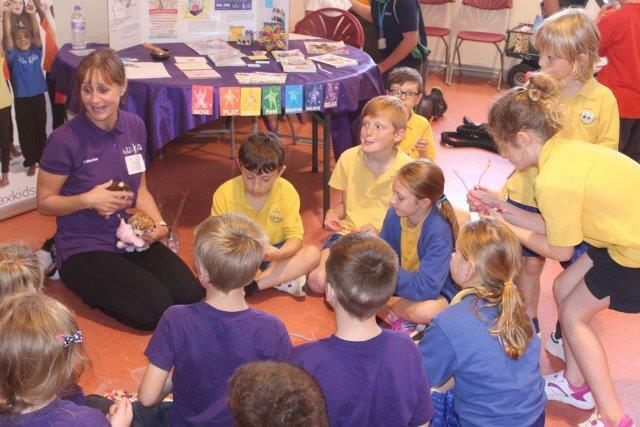 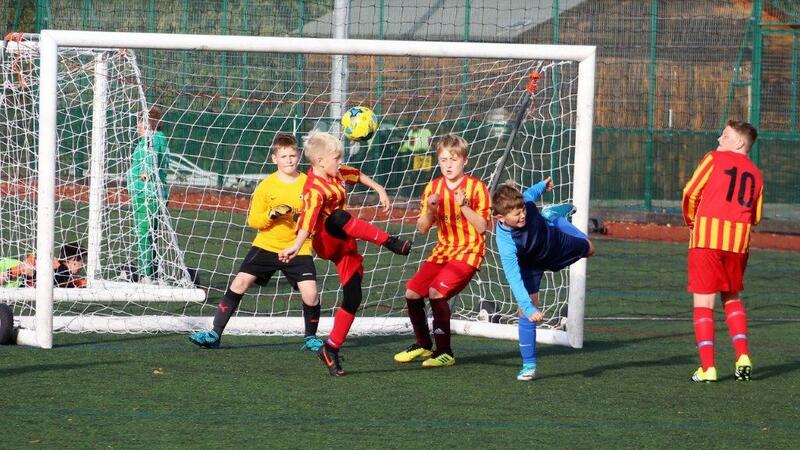 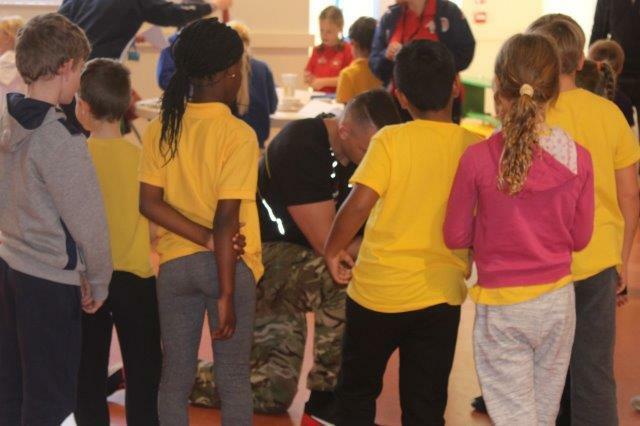 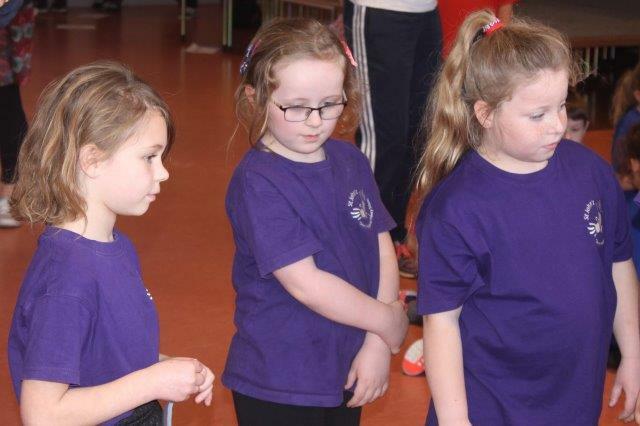 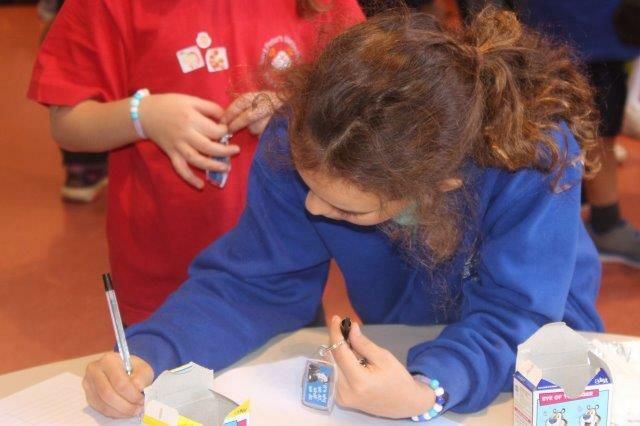 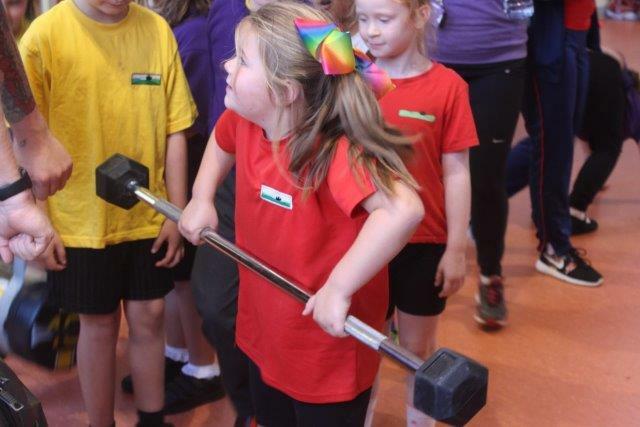 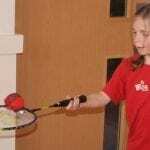 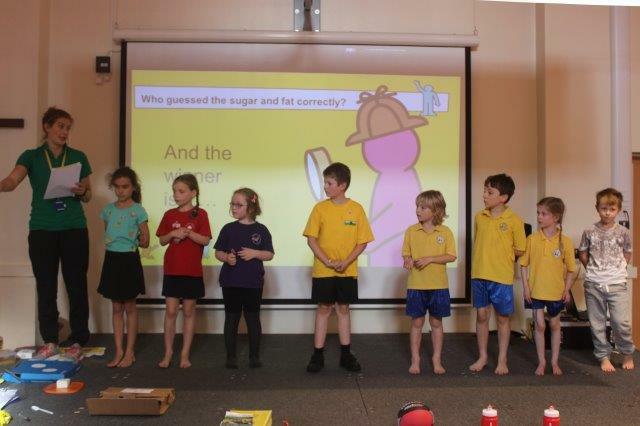 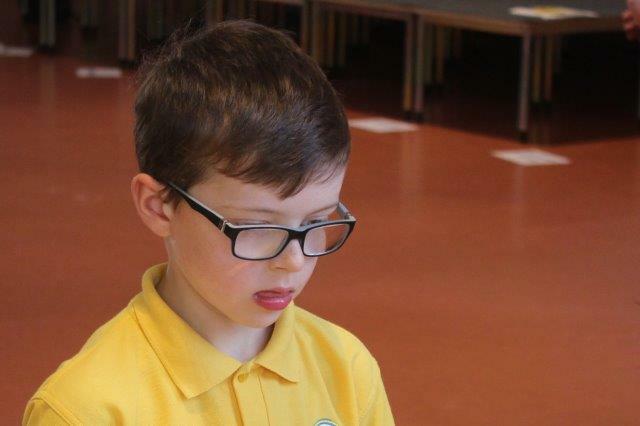 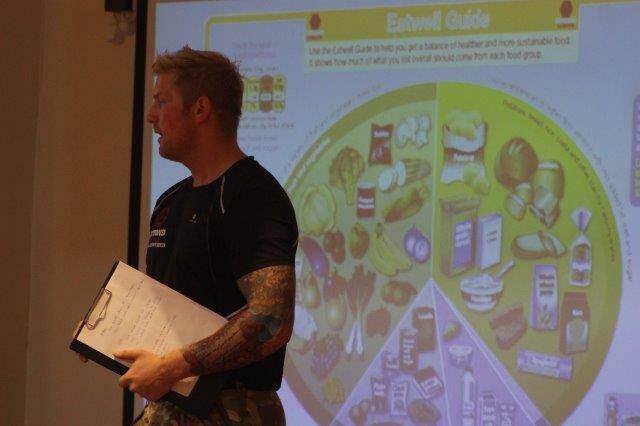 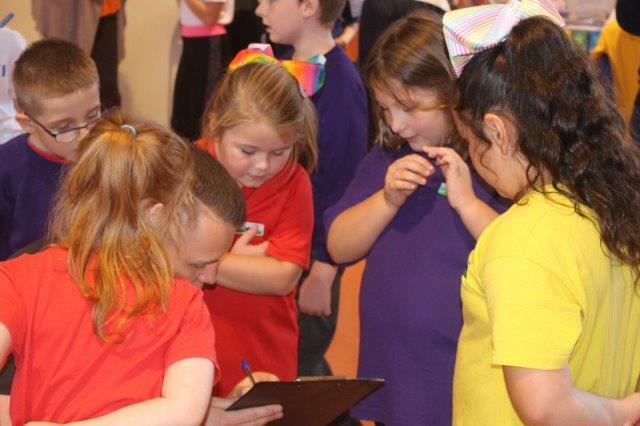 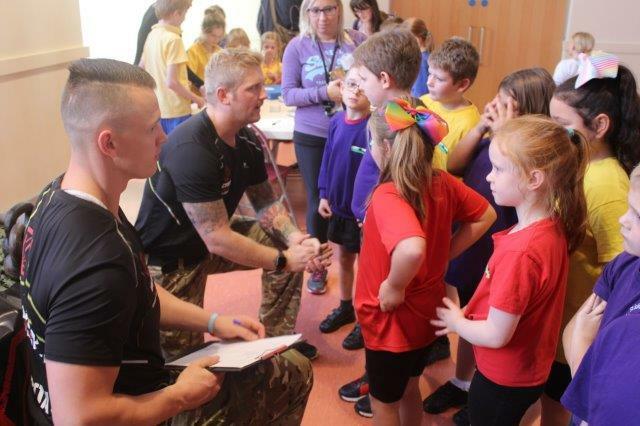 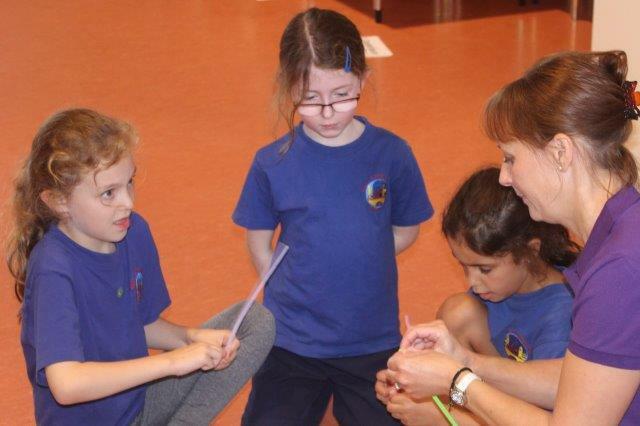 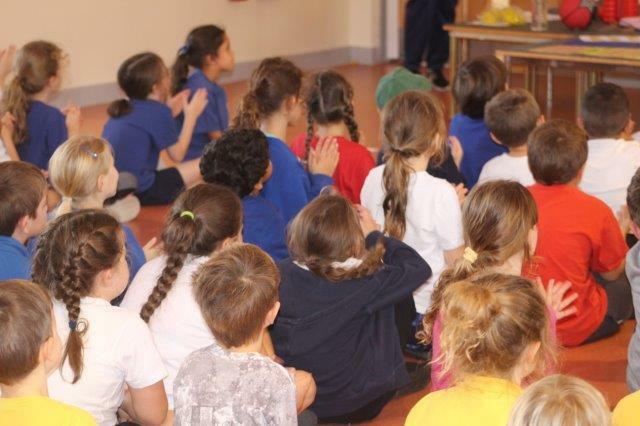 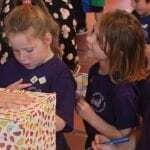 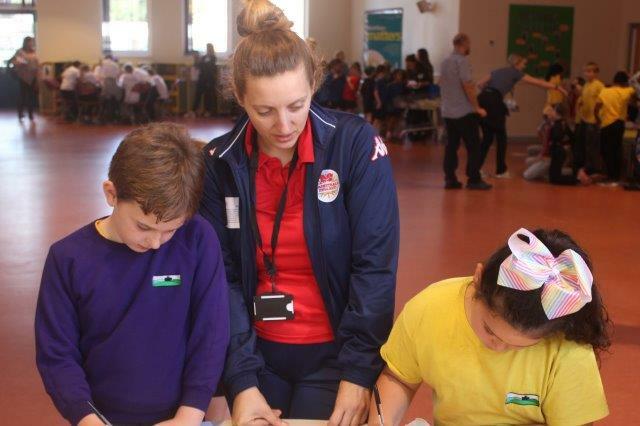 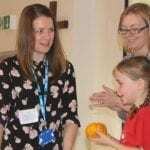 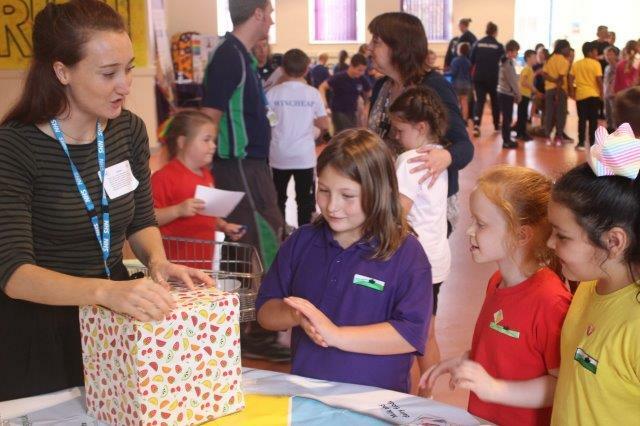 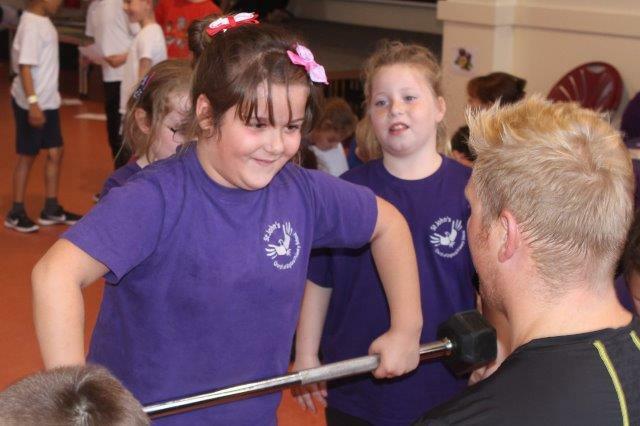 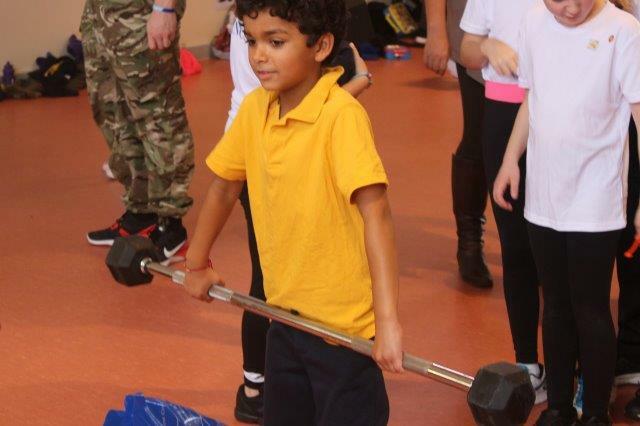 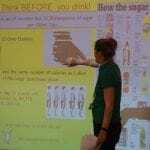 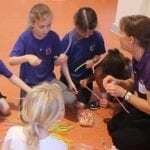 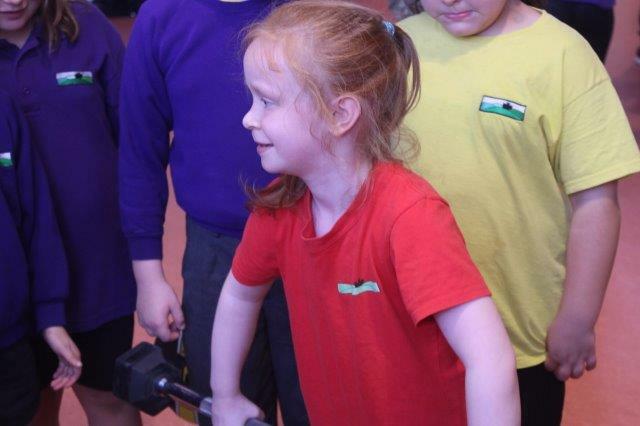 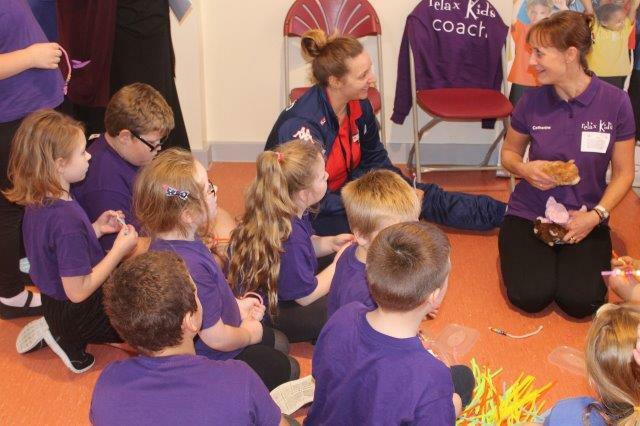 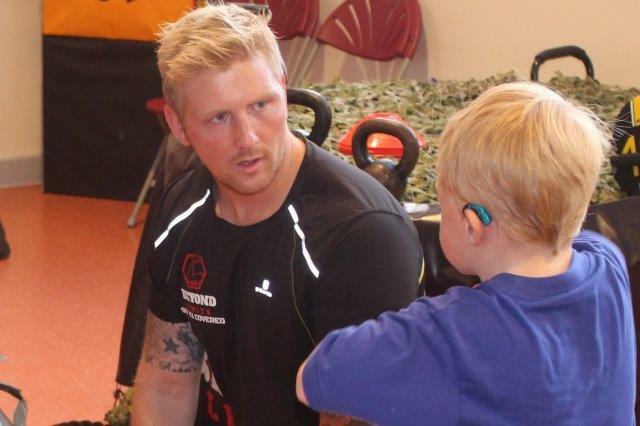 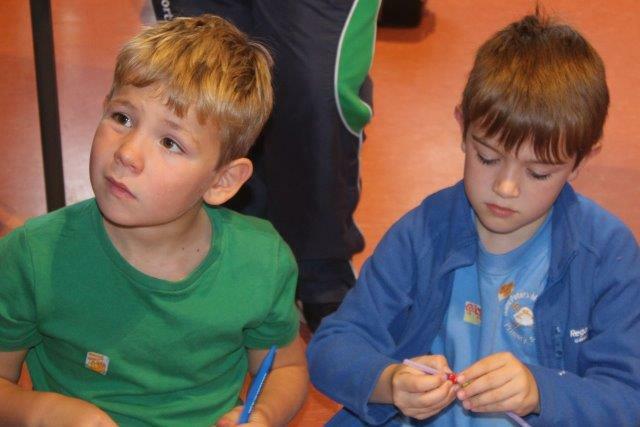 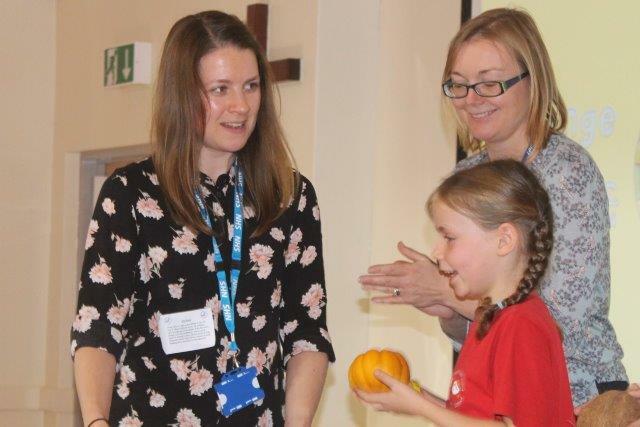 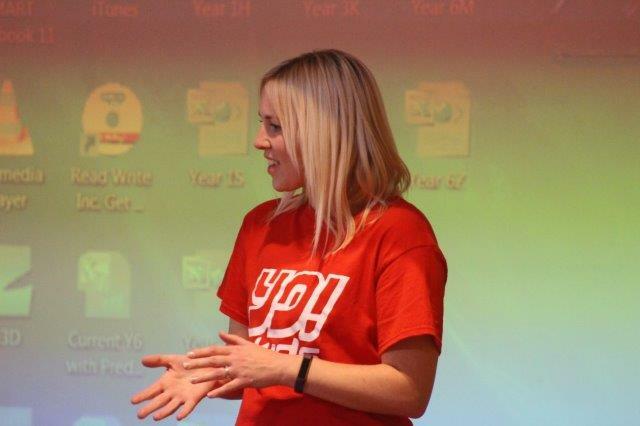 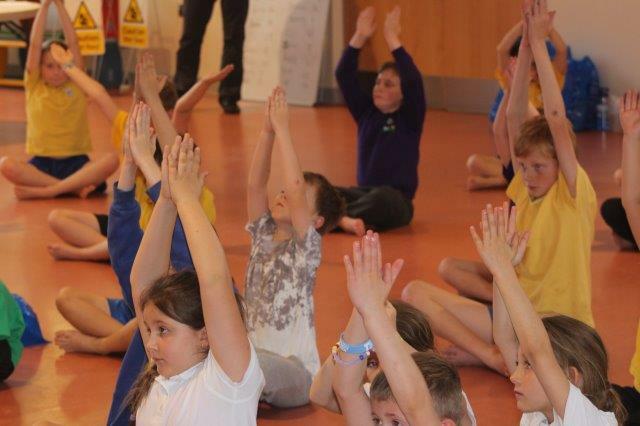 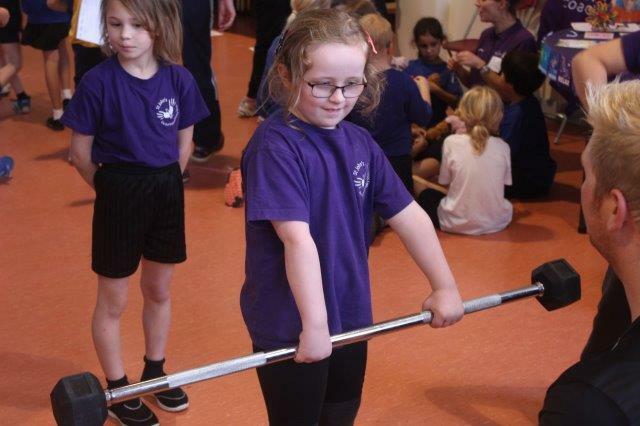 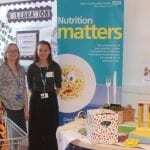 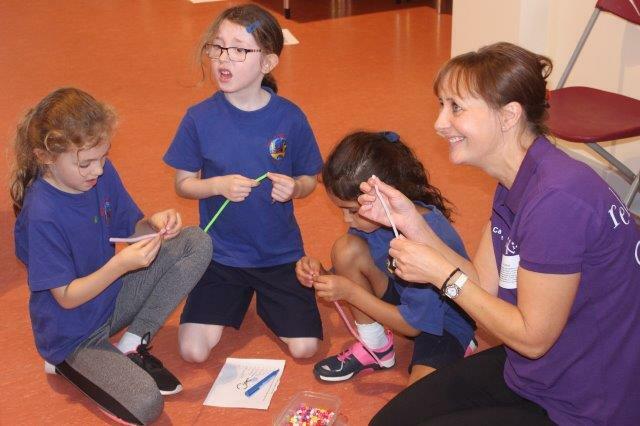 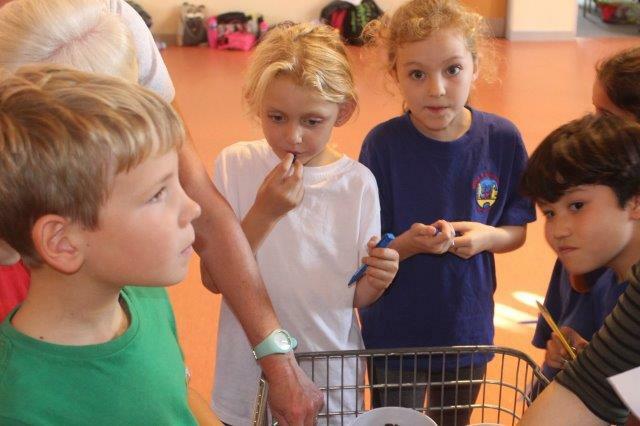 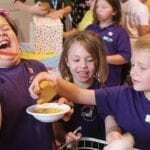 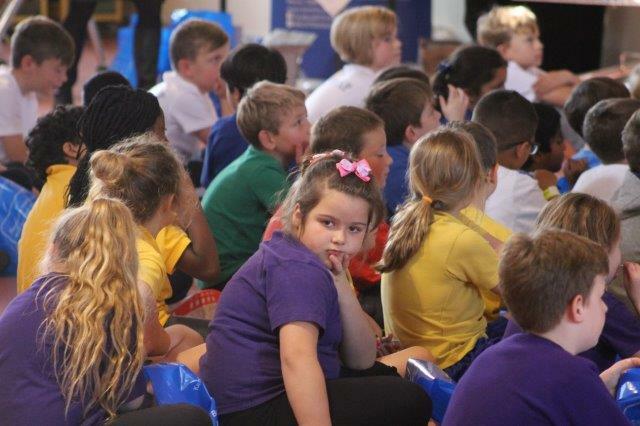 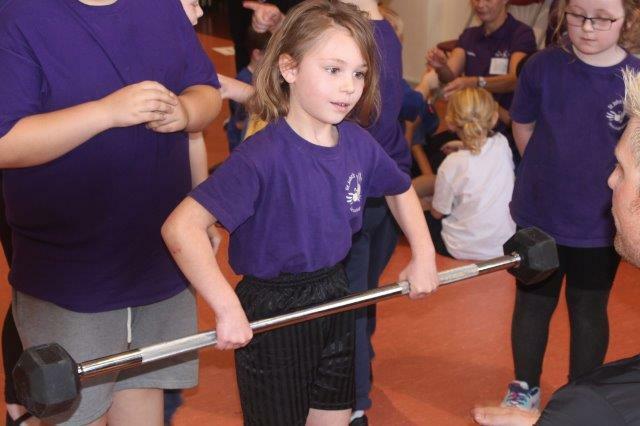 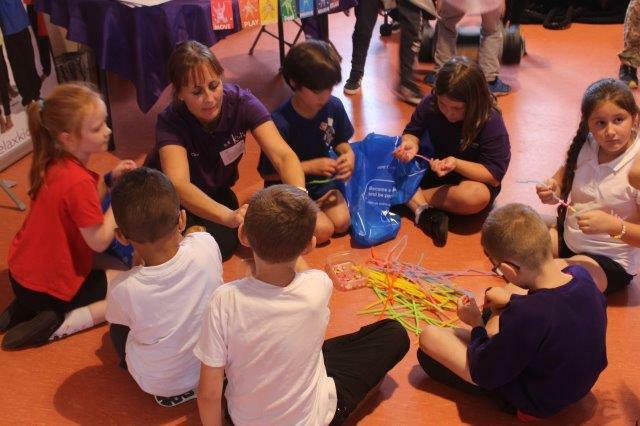 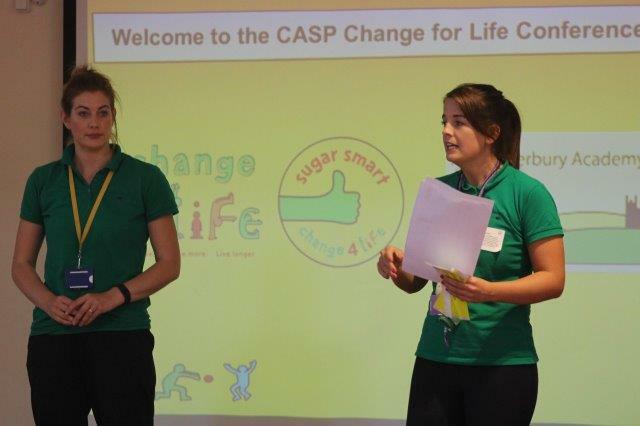 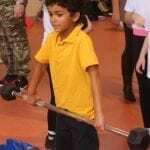 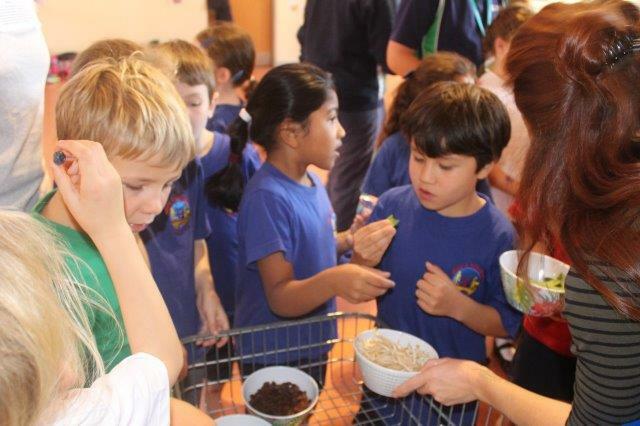 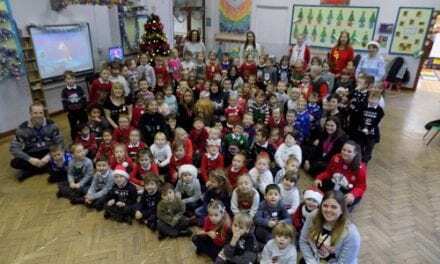 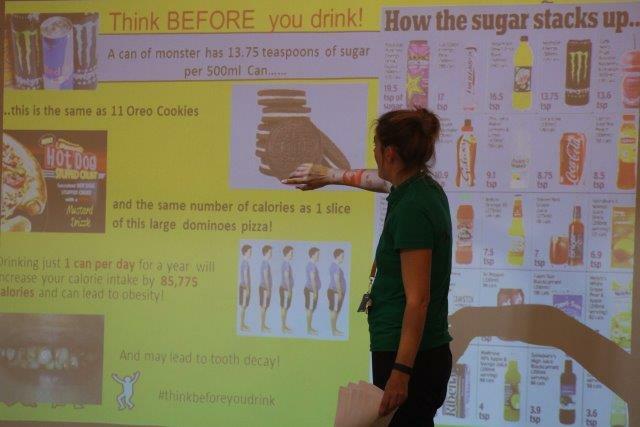 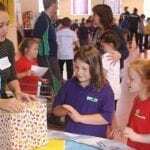 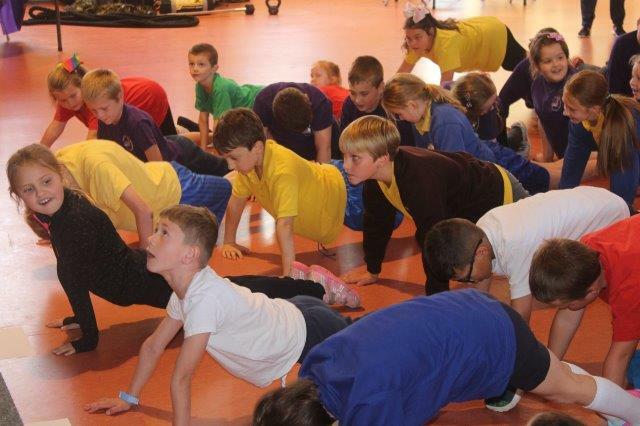 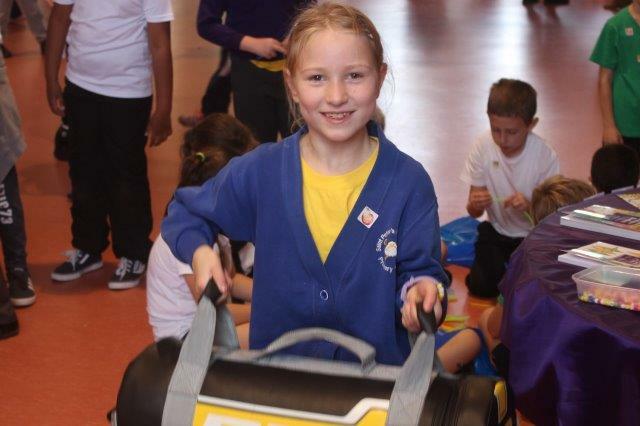 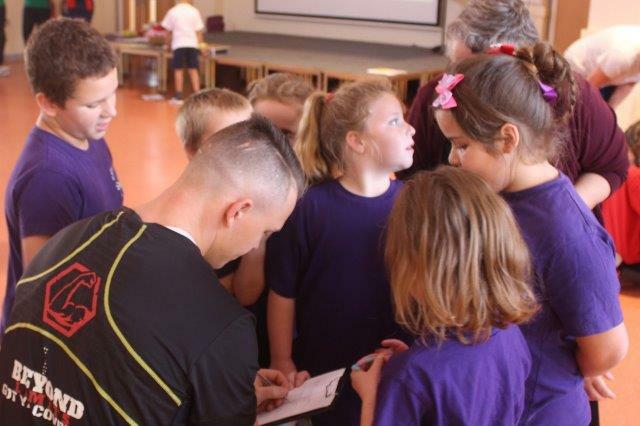 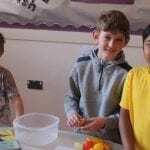 The conference was aimed at inspiring and educating pupils aged 7-10 years old to make healthier eating choices and increase physical activity. 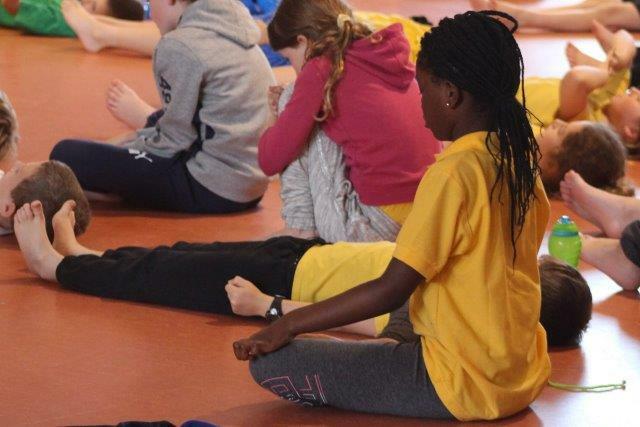 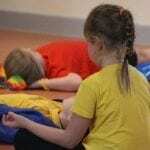 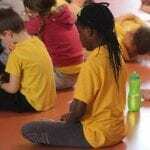 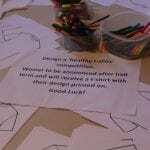 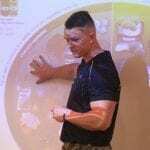 Well-being was also a focus with sleep and emotional health being explored through breathing techniques, movement and mindfulness. 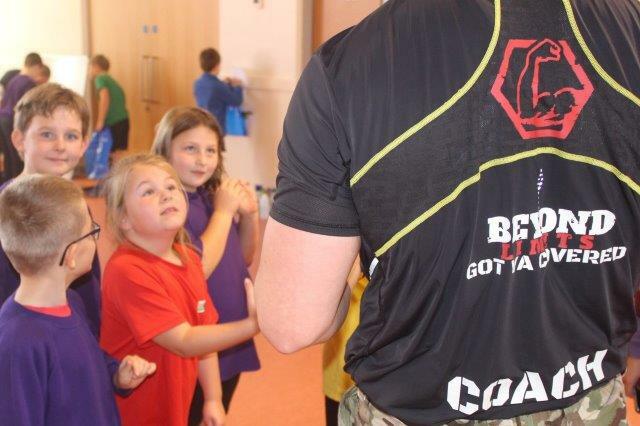 The conference began with some introductions before the Coaches from ‘Beyond Limits’ put the children through their paces with a fun, energetic warm-up. 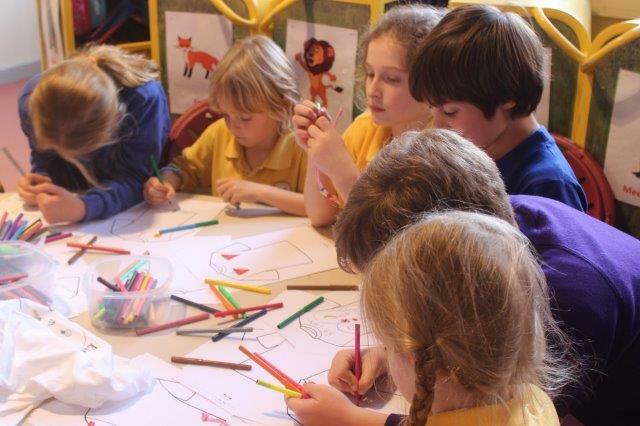 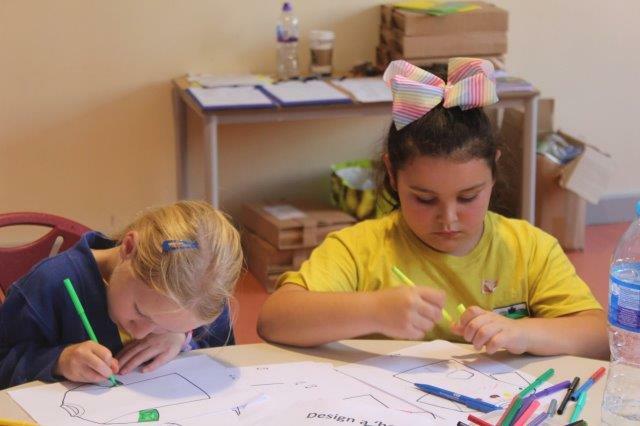 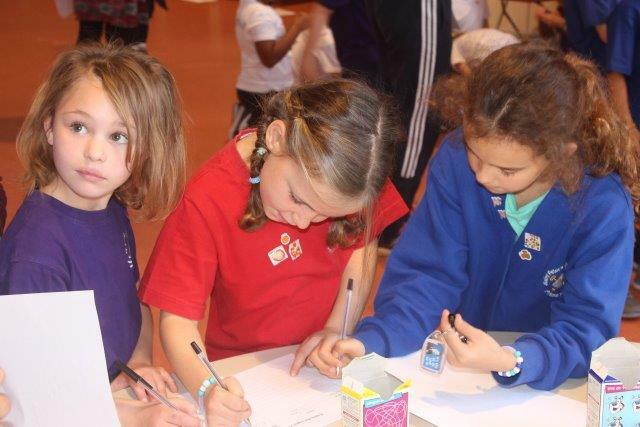 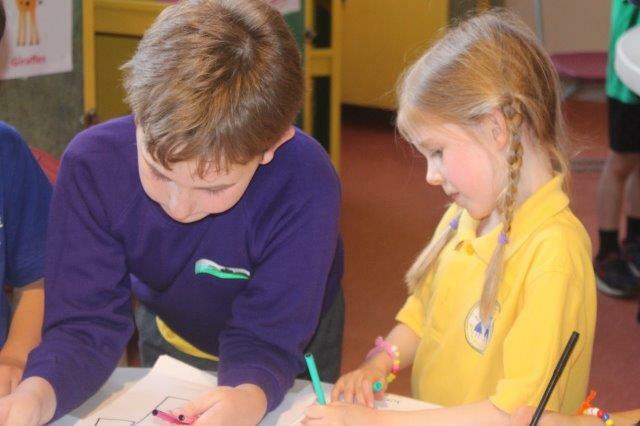 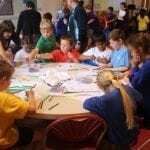 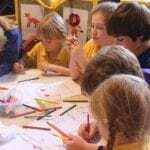 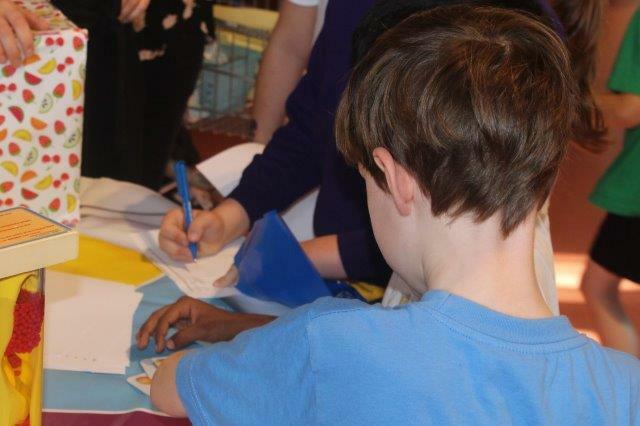 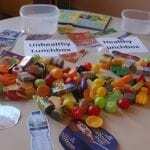 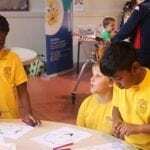 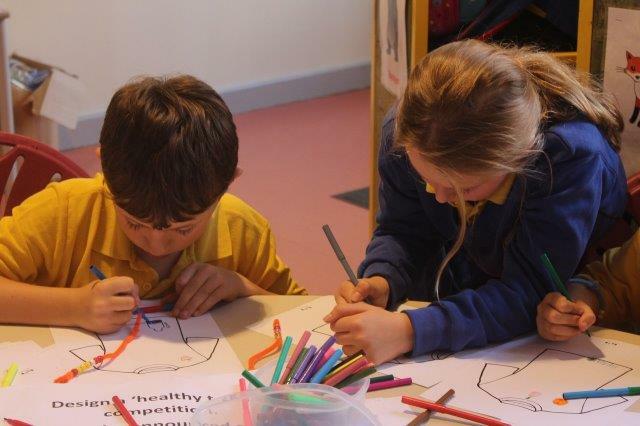 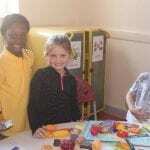 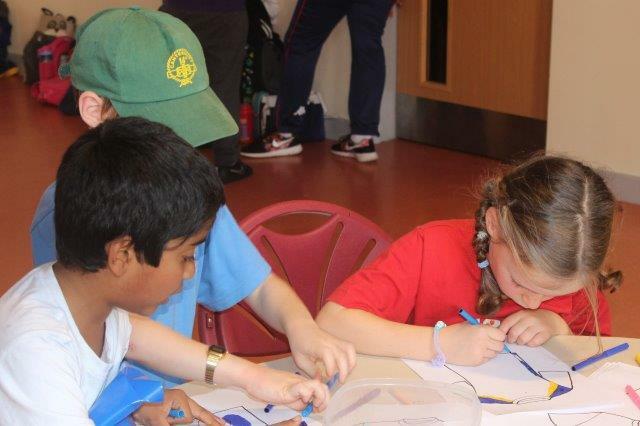 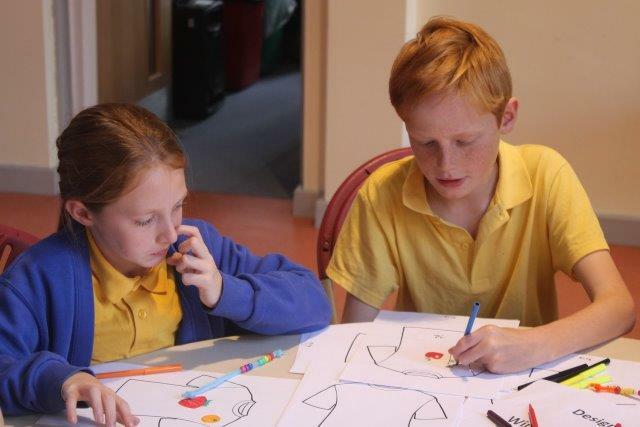 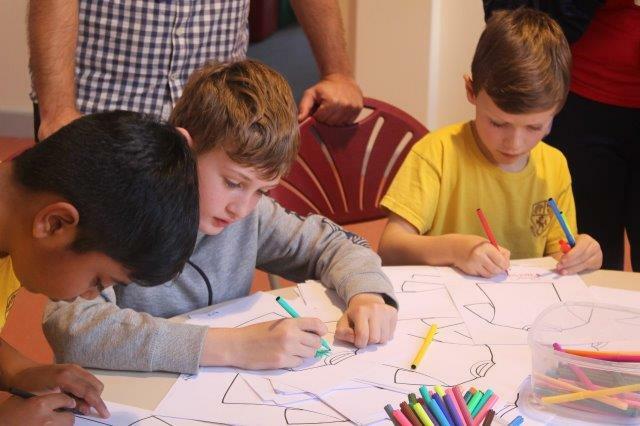 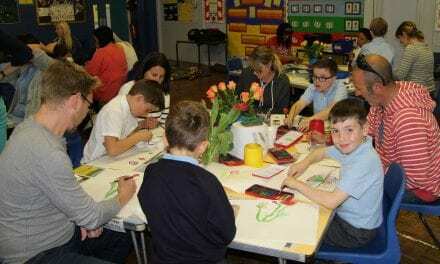 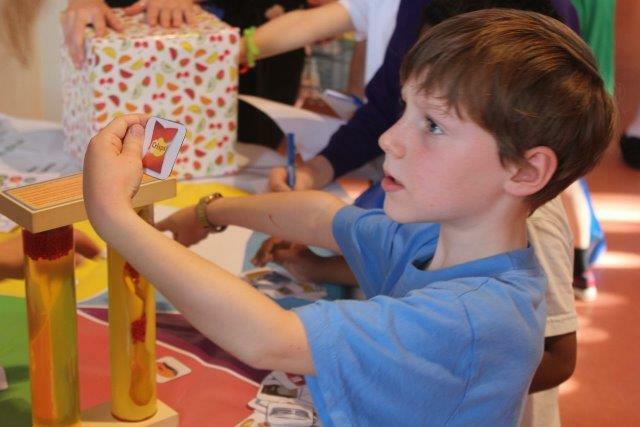 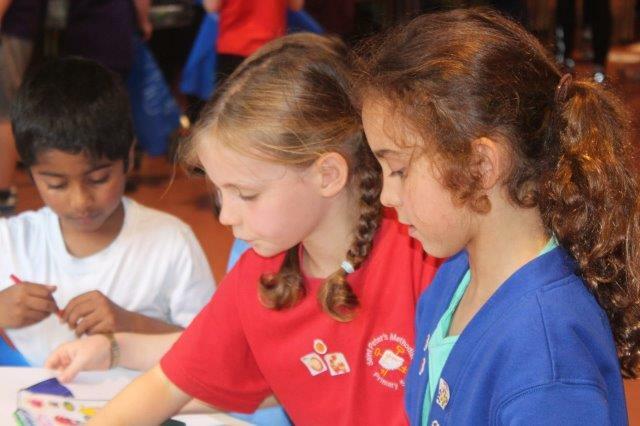 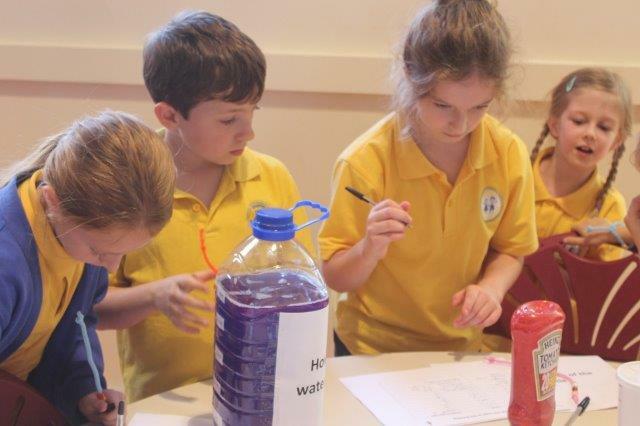 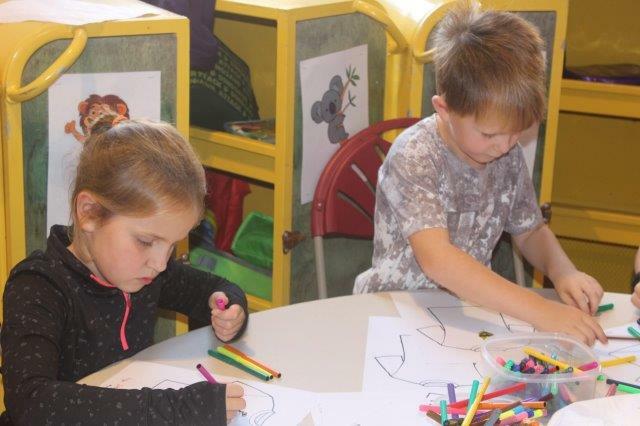 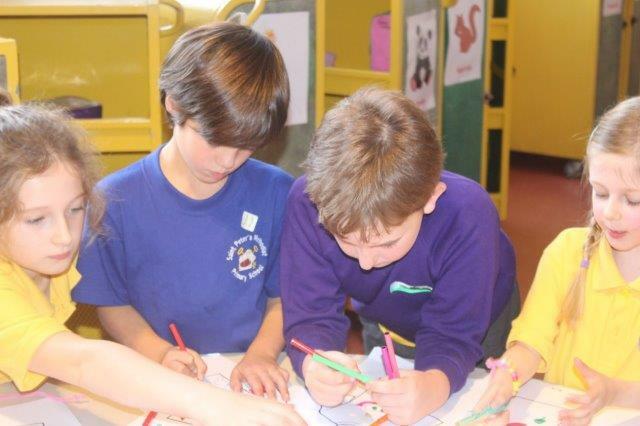 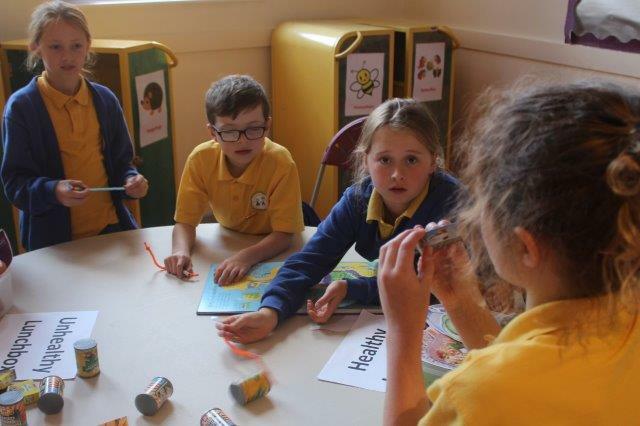 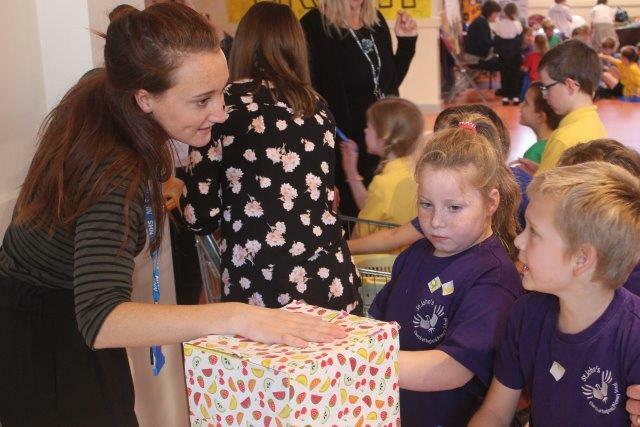 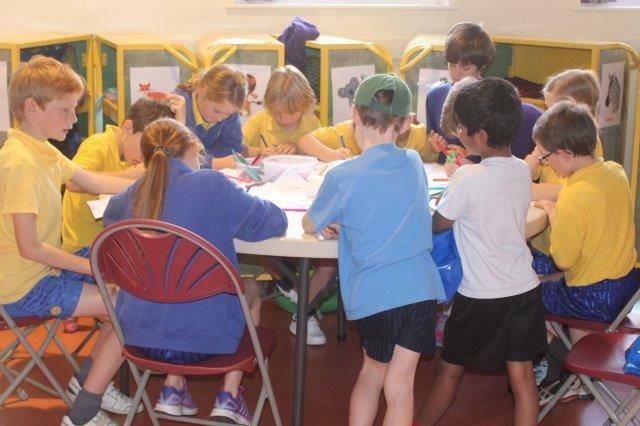 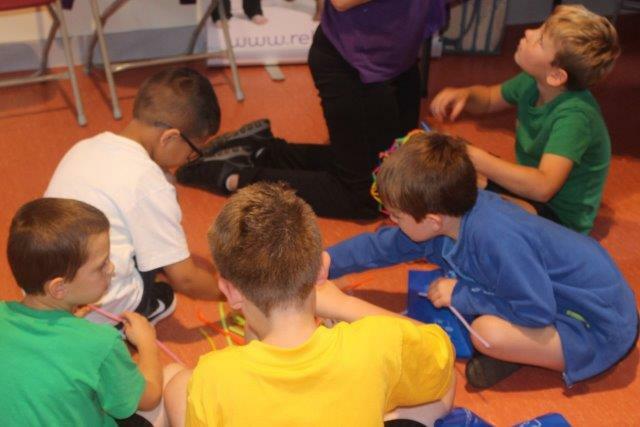 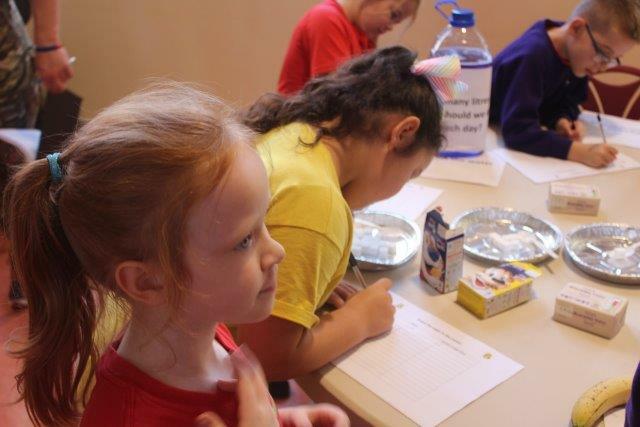 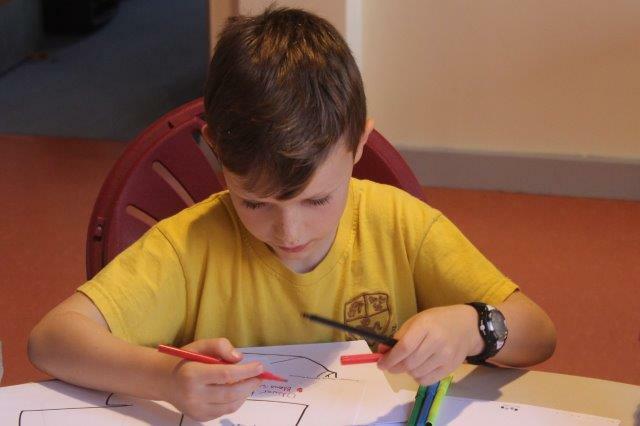 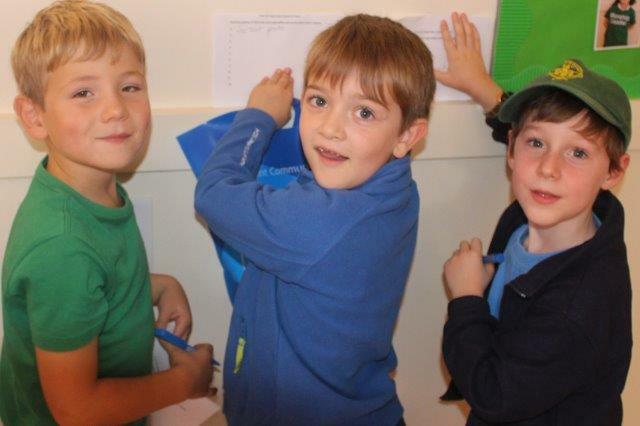 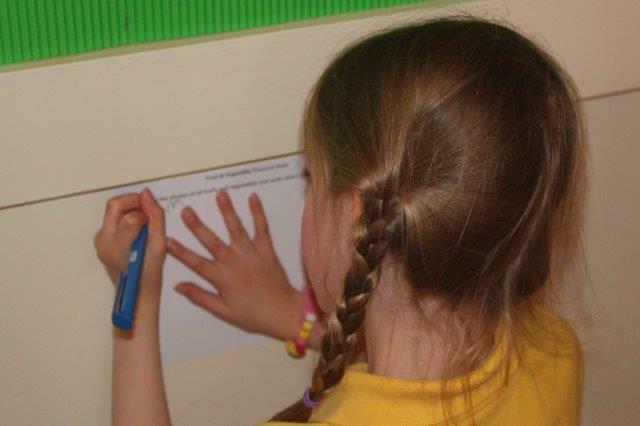 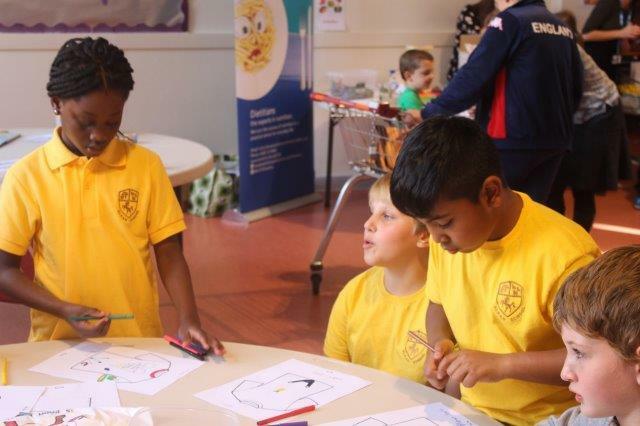 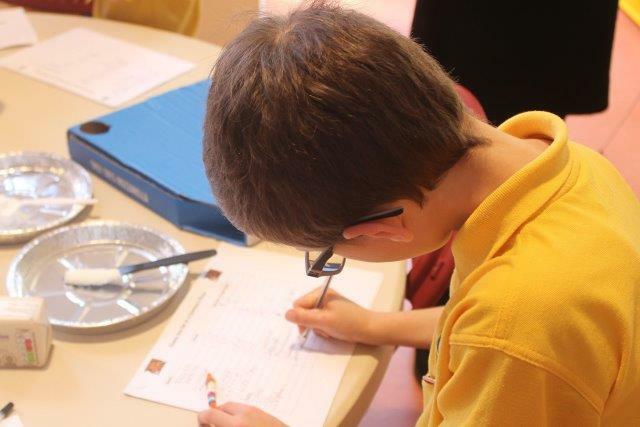 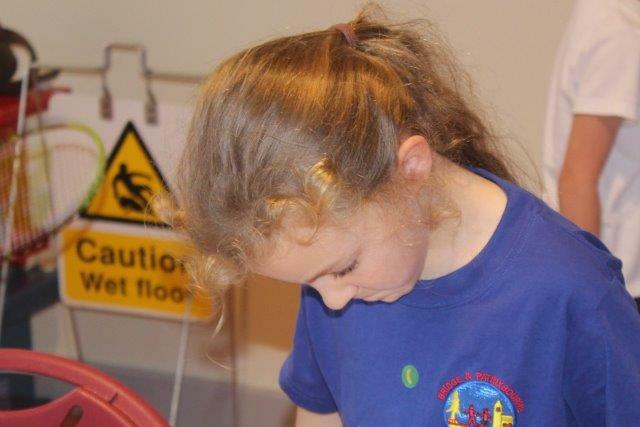 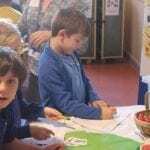 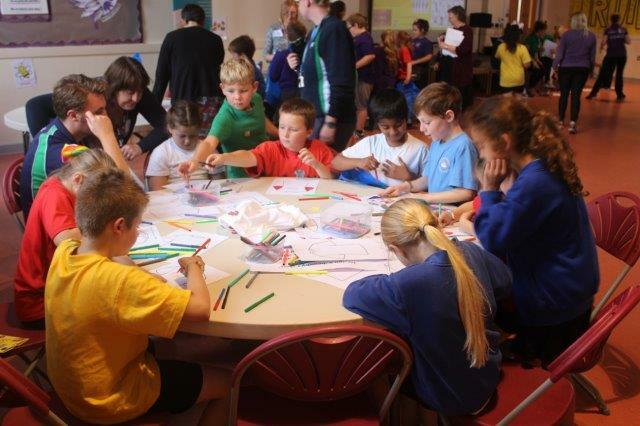 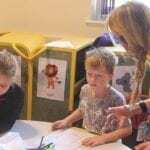 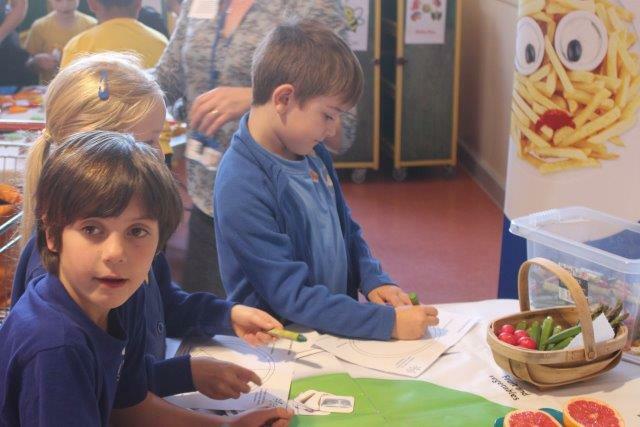 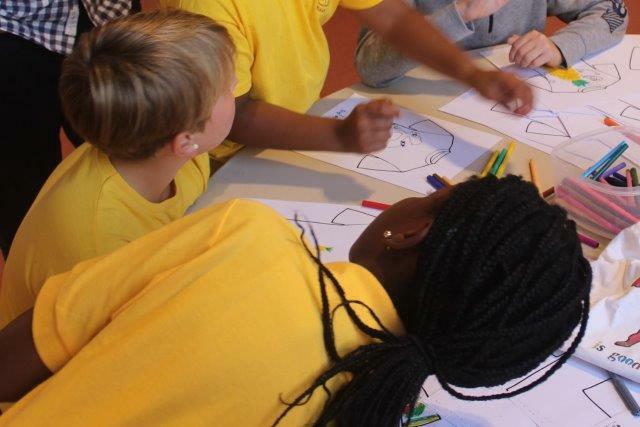 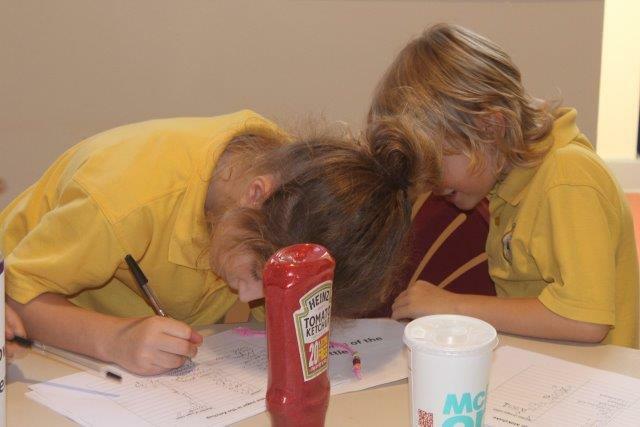 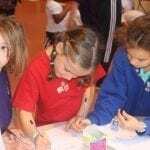 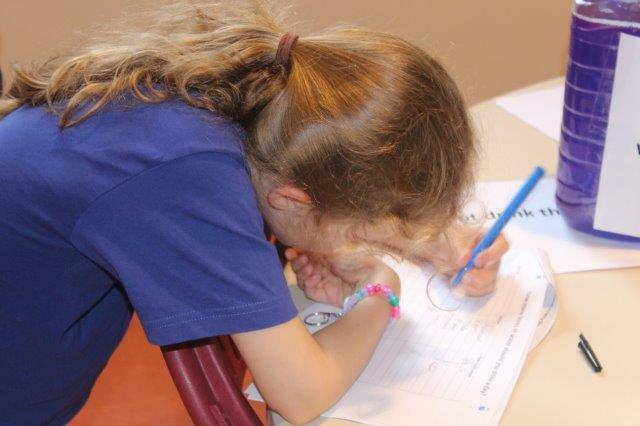 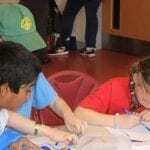 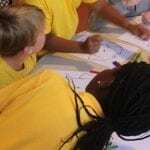 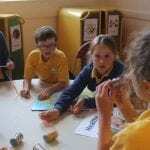 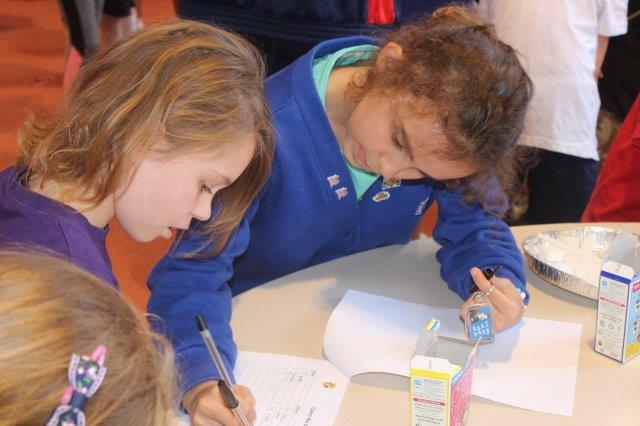 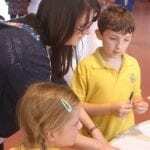 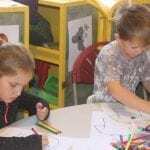 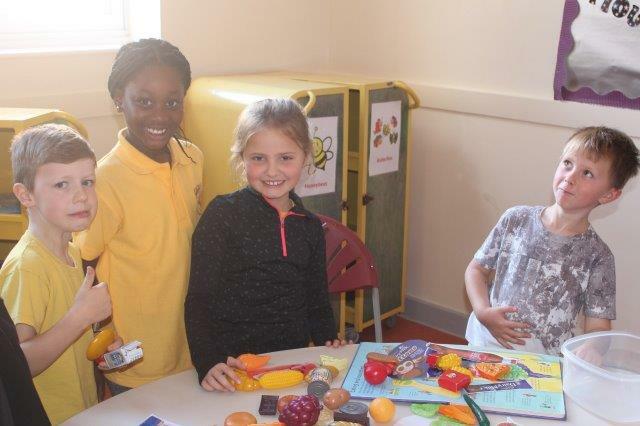 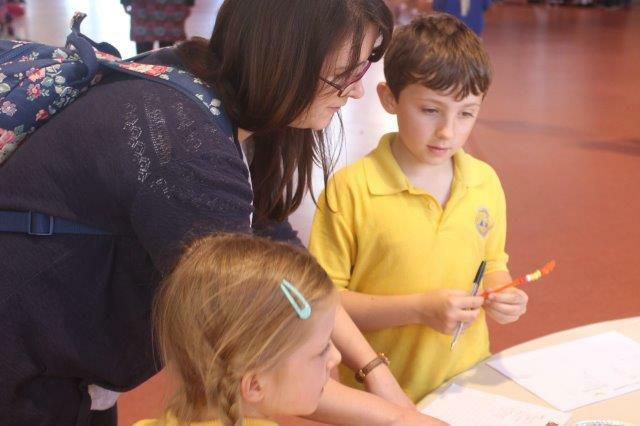 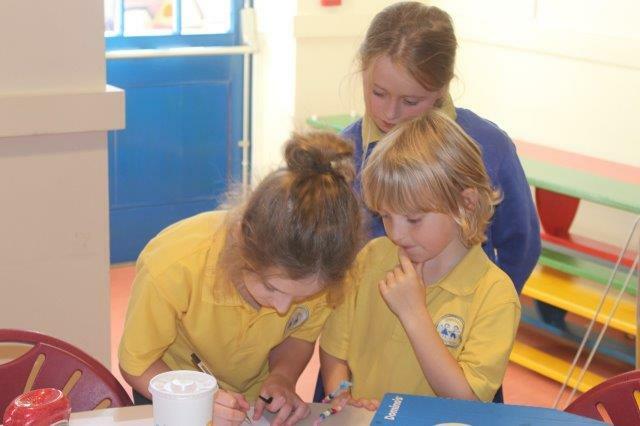 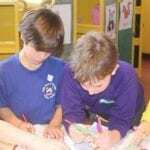 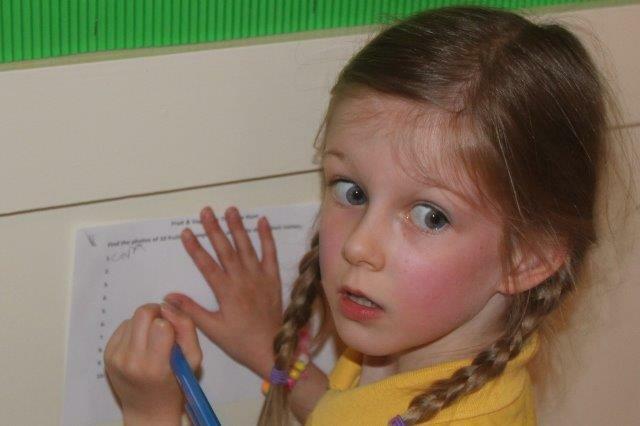 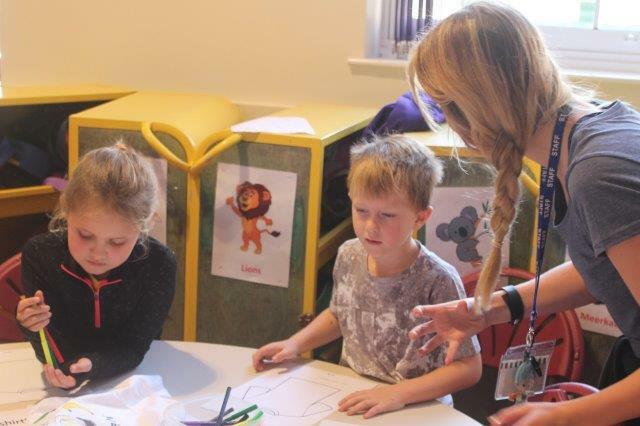 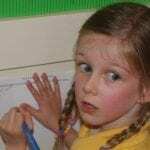 After a group ‘Change 4 Life’ quiz featuring NHS Choices and Eat Well information, the children were then allowed to visit the activity tables where a range of engaging, informative workshops were being held. 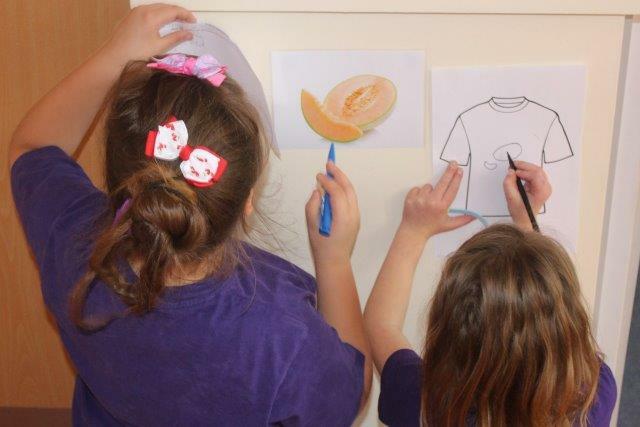 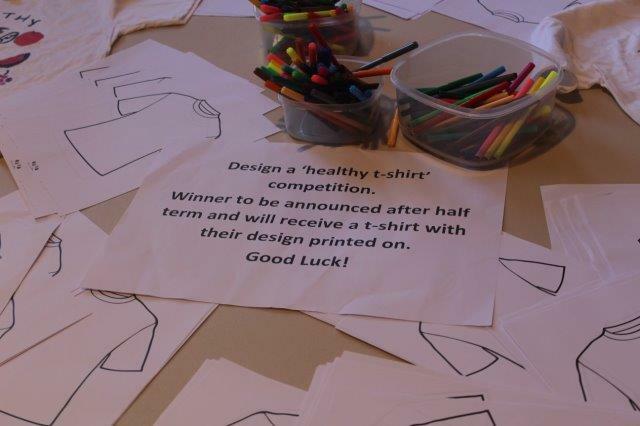 The activities on offer included physical challenges, dietary quizzes, a competition to design a t-shirt and a healthy food tasting session. 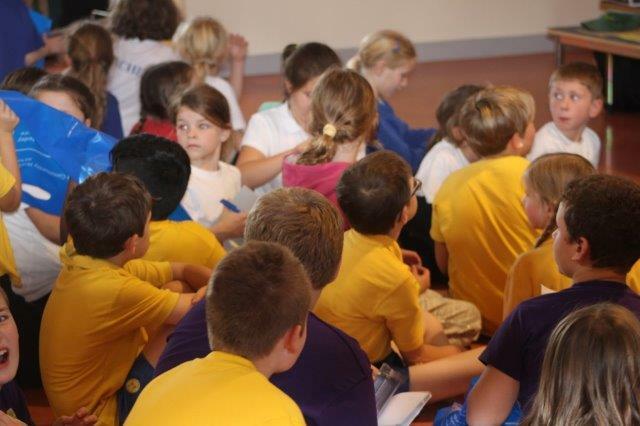 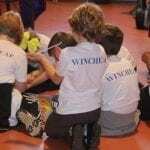 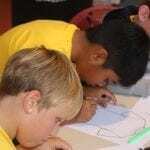 The hall was a hive of activity throughout and all of the visiting students seemed to thoroughly enjoy the sessions. 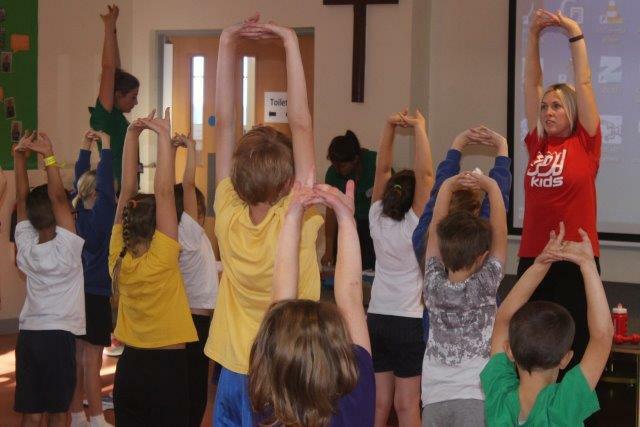 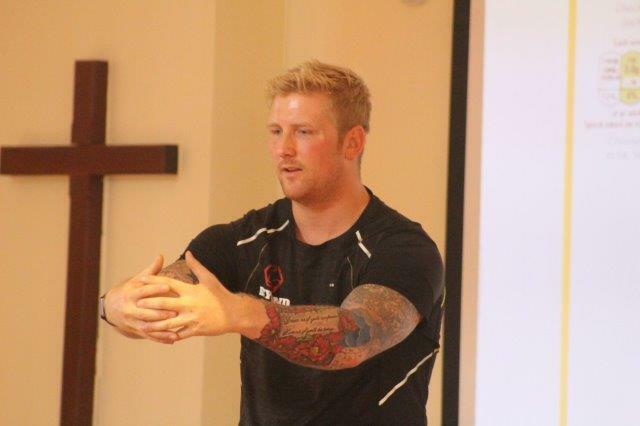 The afternoon ended with a nutrition talk from the Coaches at Beyond Limits, a Yoga session from Jess of Yo! 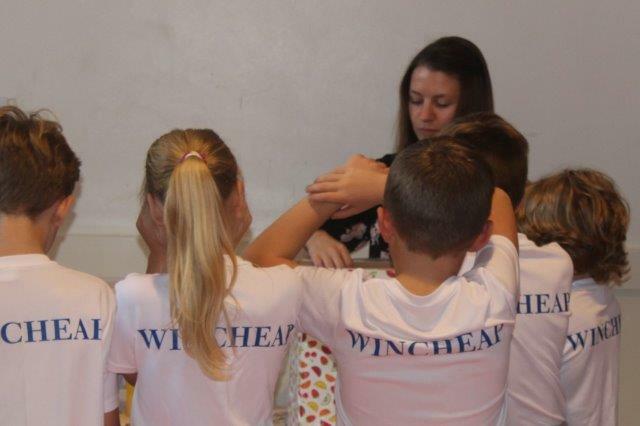 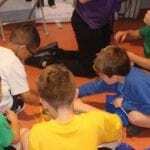 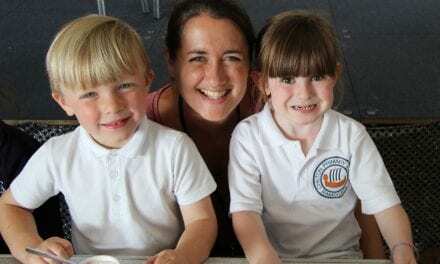 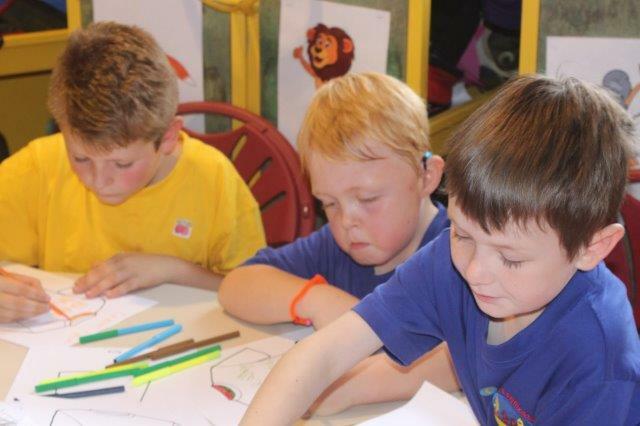 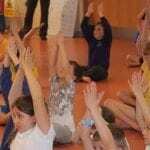 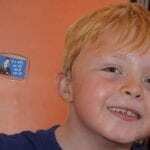 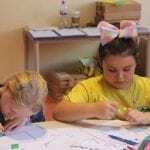 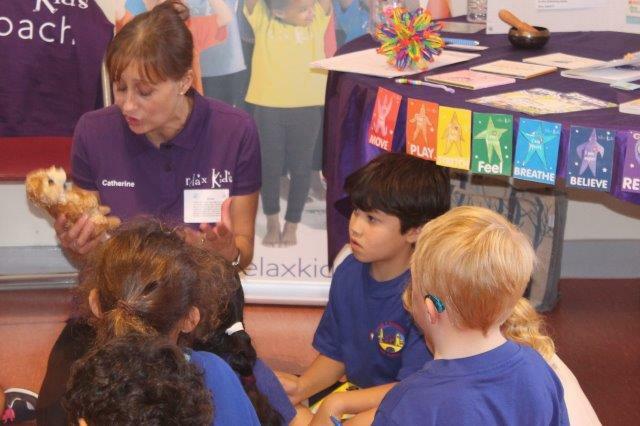 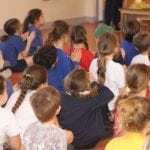 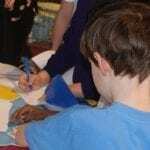 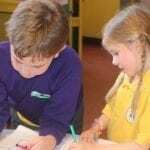 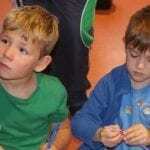 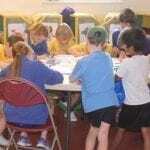 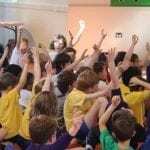 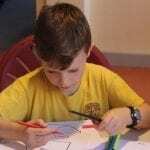 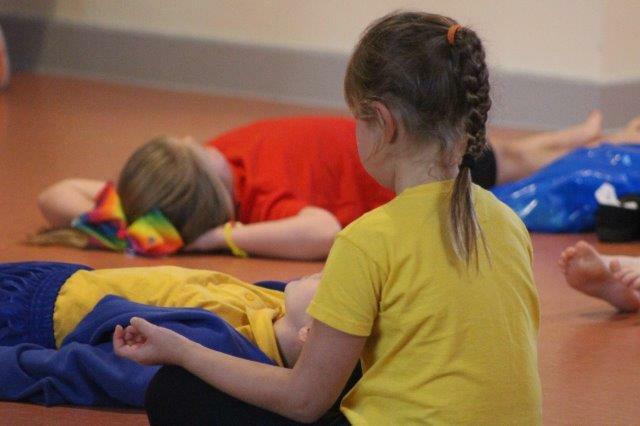 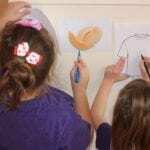 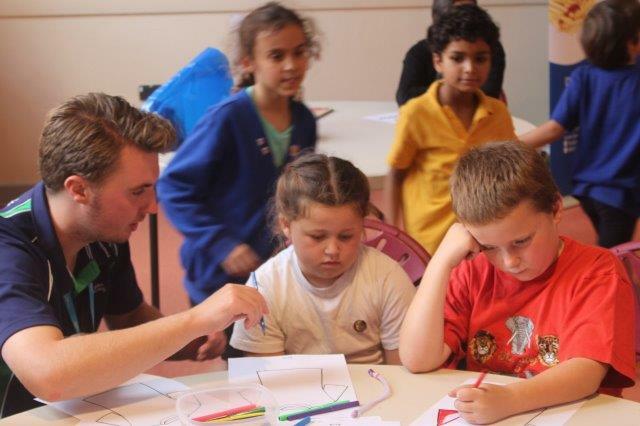 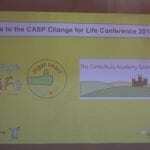 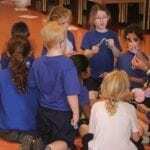 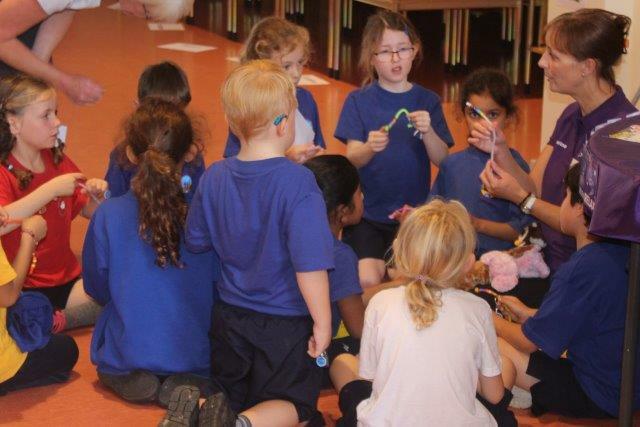 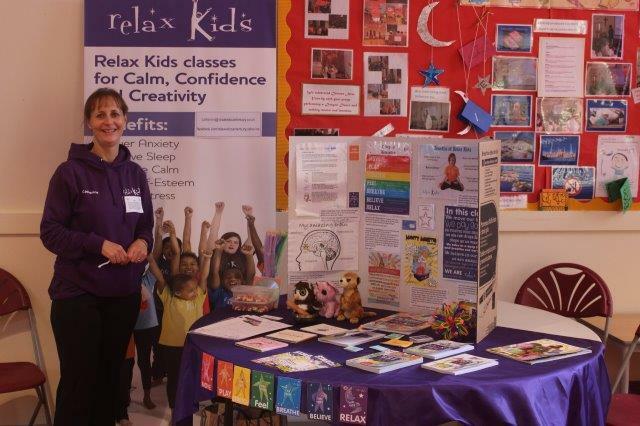 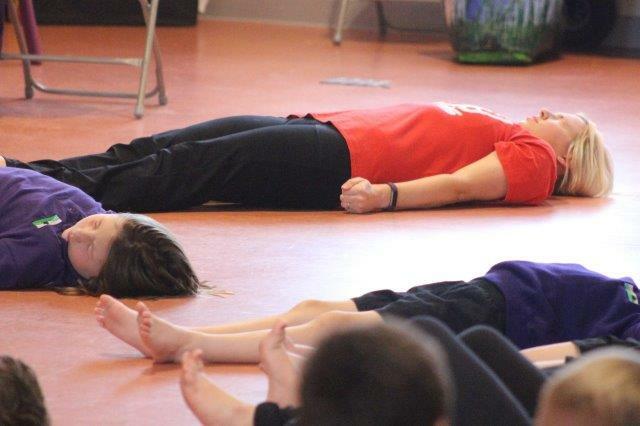 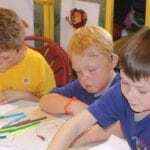 Kids and a relaxation session from Catherine of Relax Kids, Canterbury. 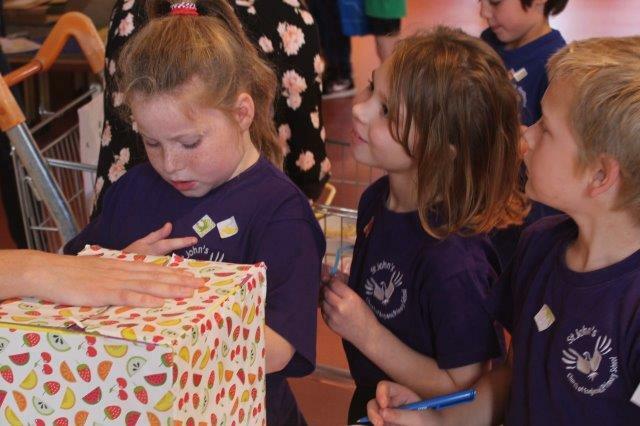 I’d like to thank Gemma and Marika for inviting me to such a fantastic event and I’m sure they’d join me in thanking all of the staff, volunteers and, especially, the brilliant children who made the event such a success. 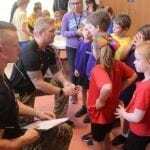 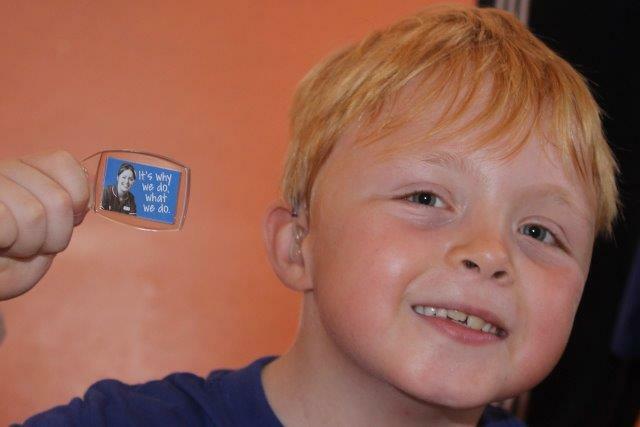 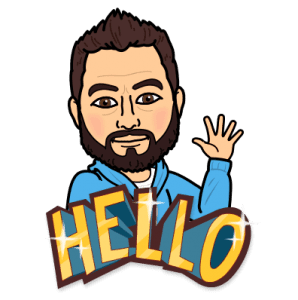 Please take some time a look through the image gallery from the afternoon and share this story with those that feature. 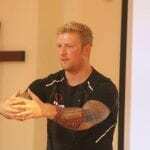 NextHow to…Get rid of unwanted visitors.